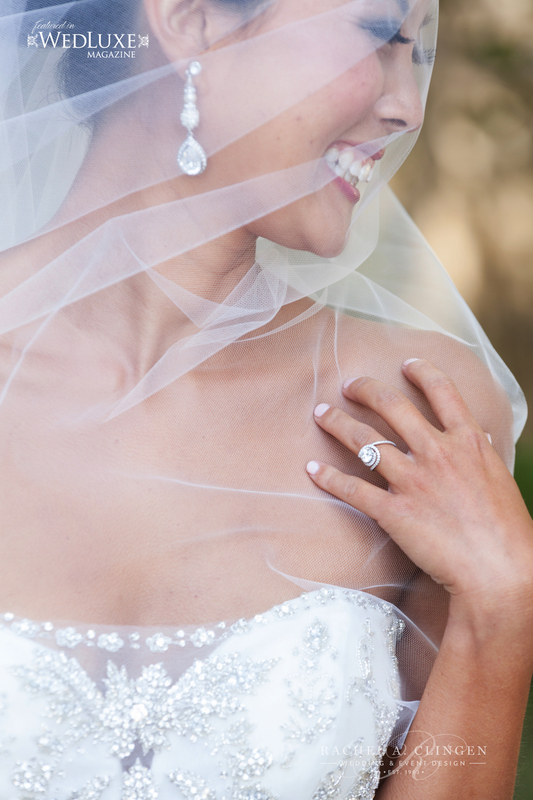 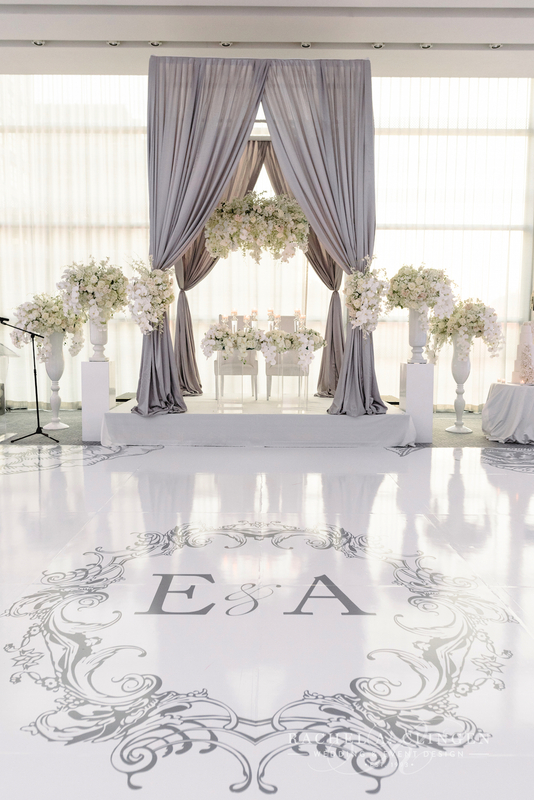 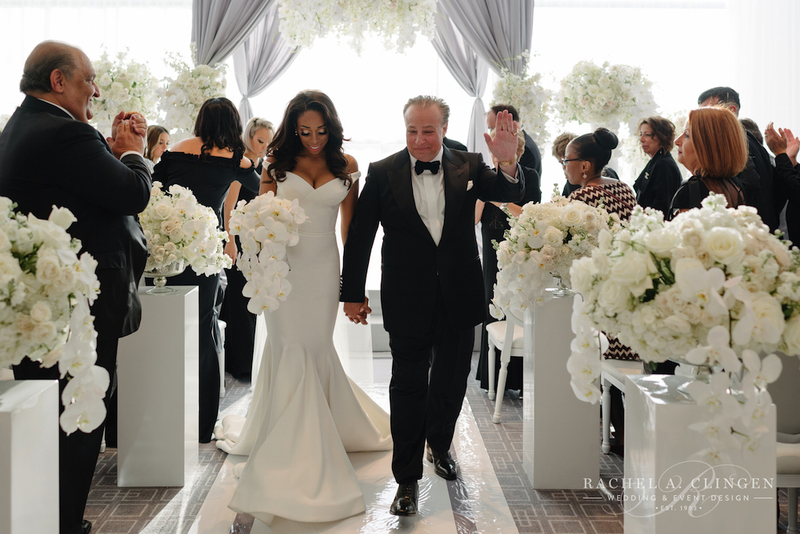 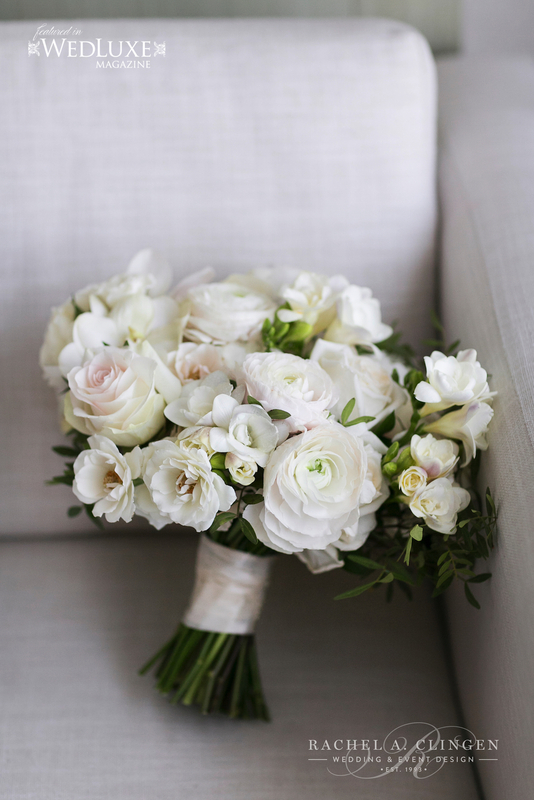 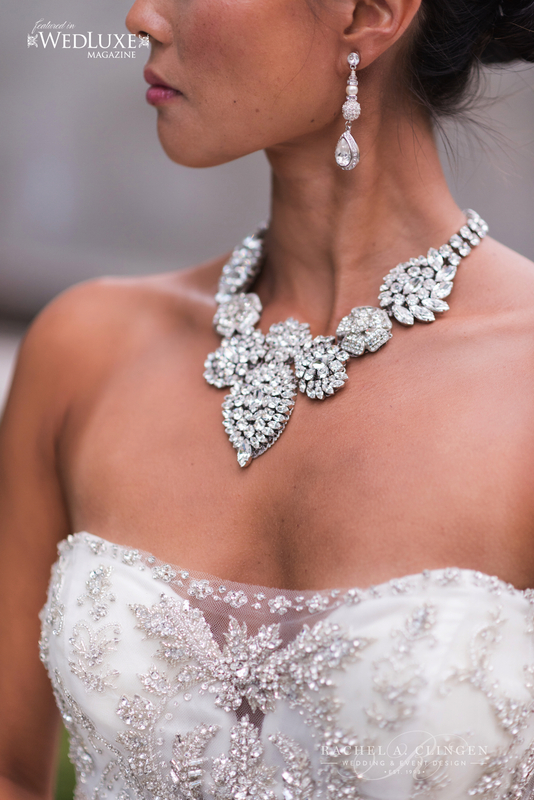 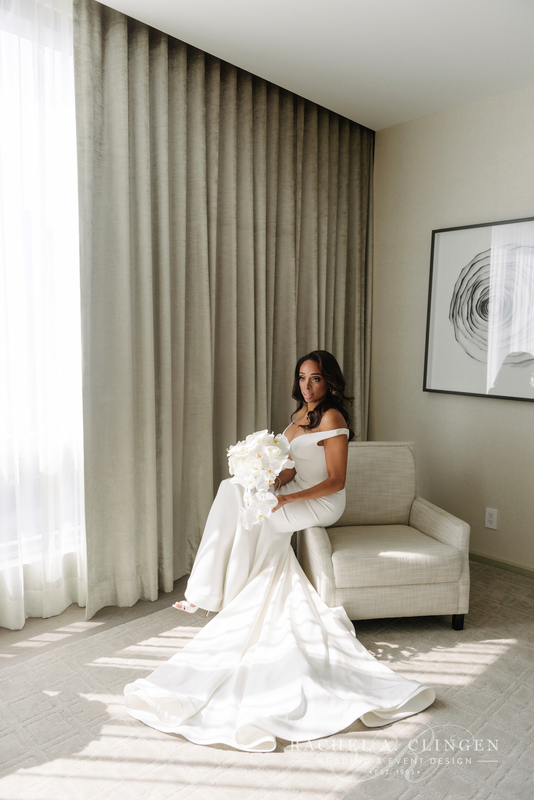 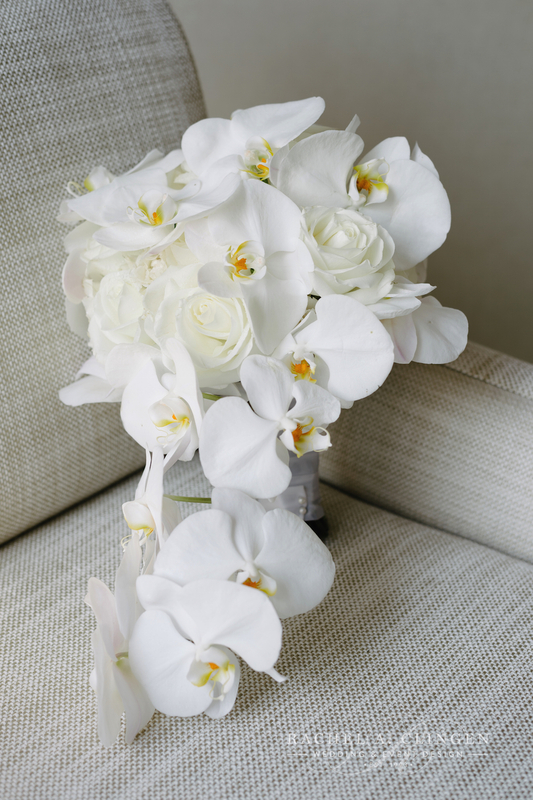 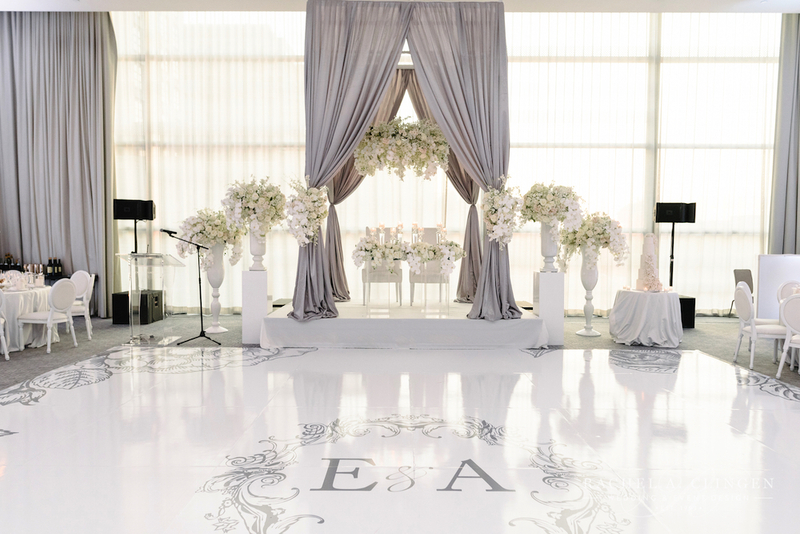 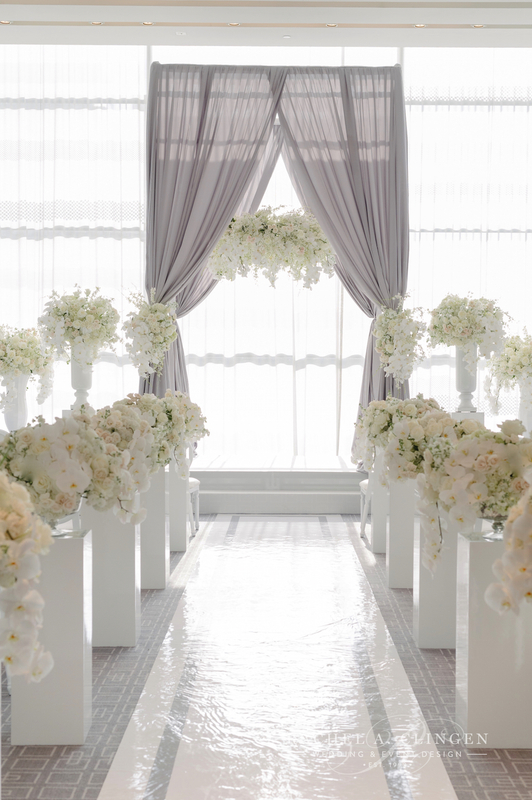 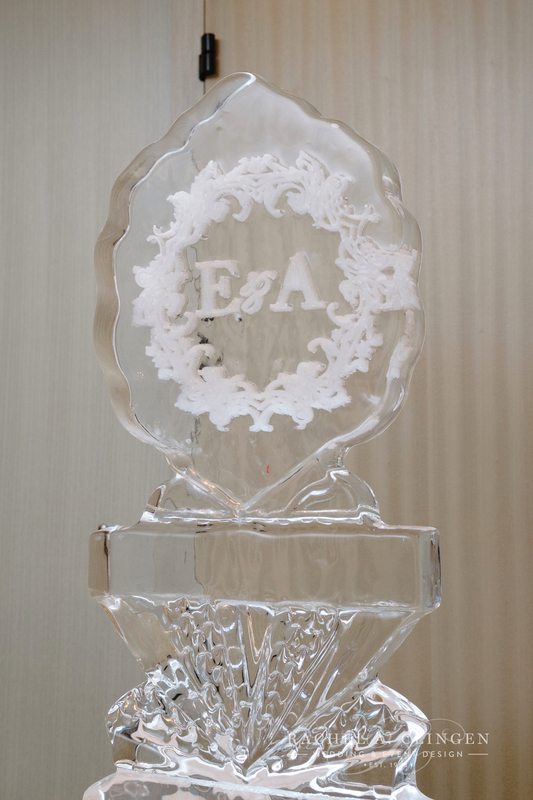 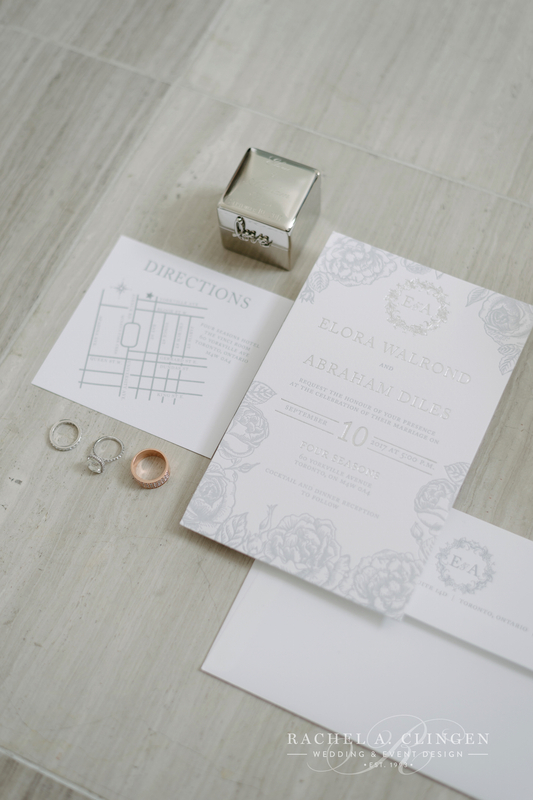 Take a peek at Elora and Abrahams fabulous all white wedding at the Four Seasons Hotel in Toronto. 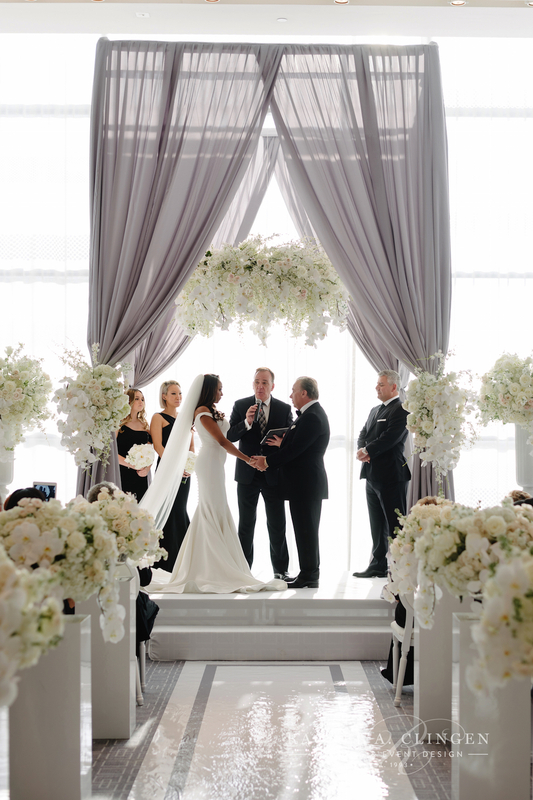 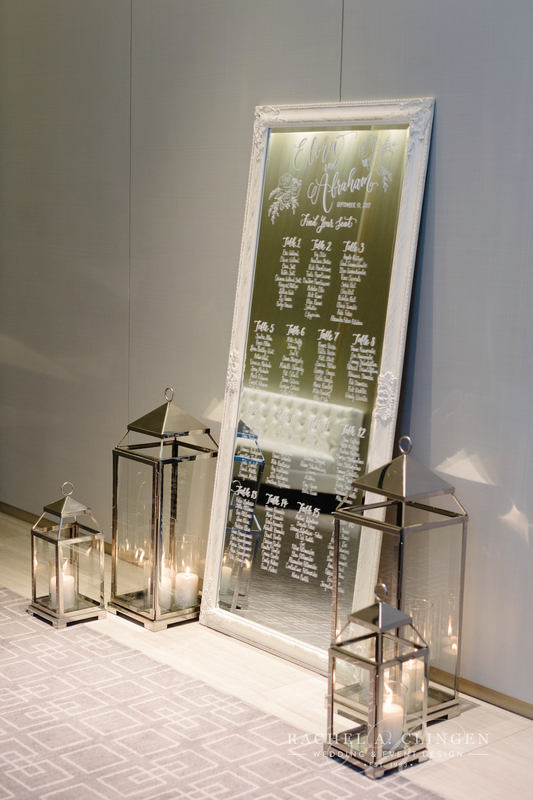 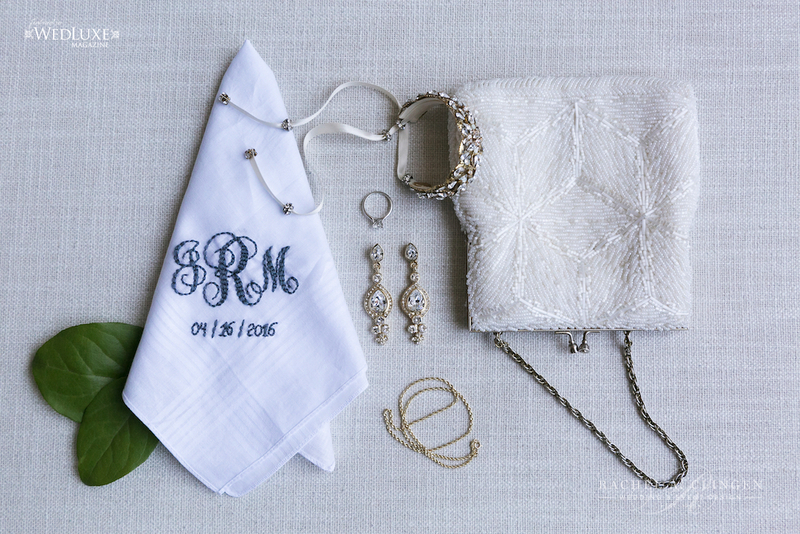 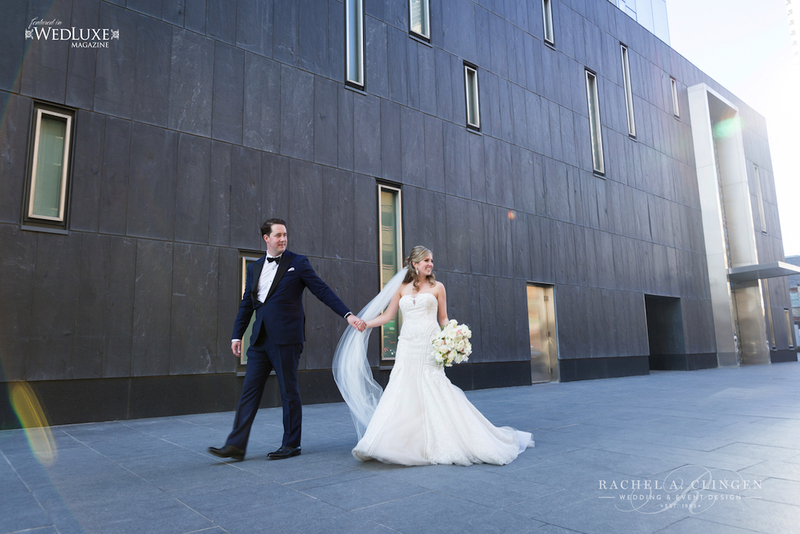 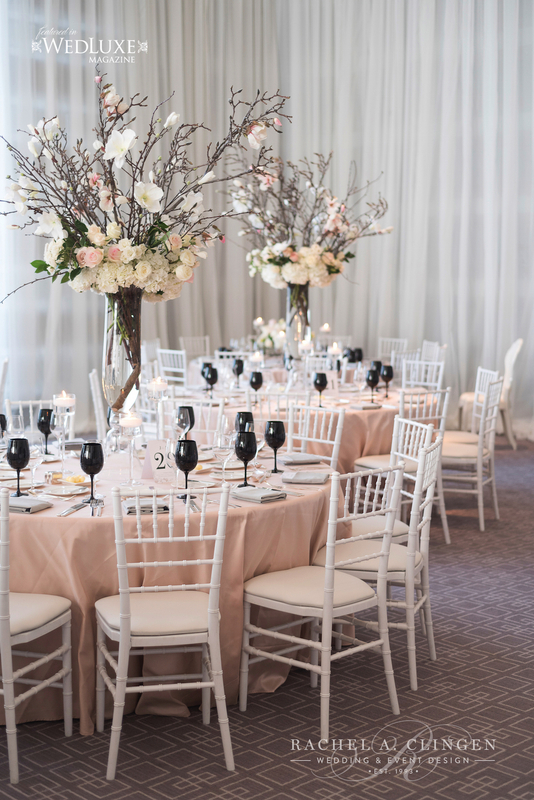 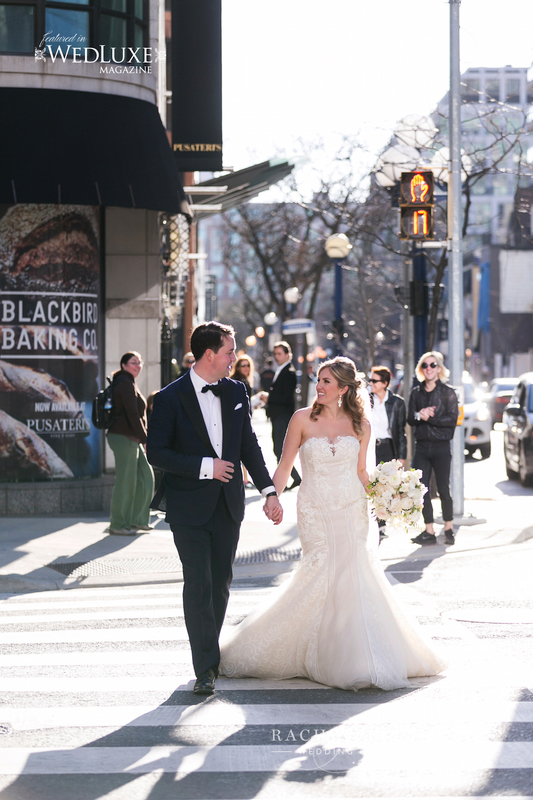 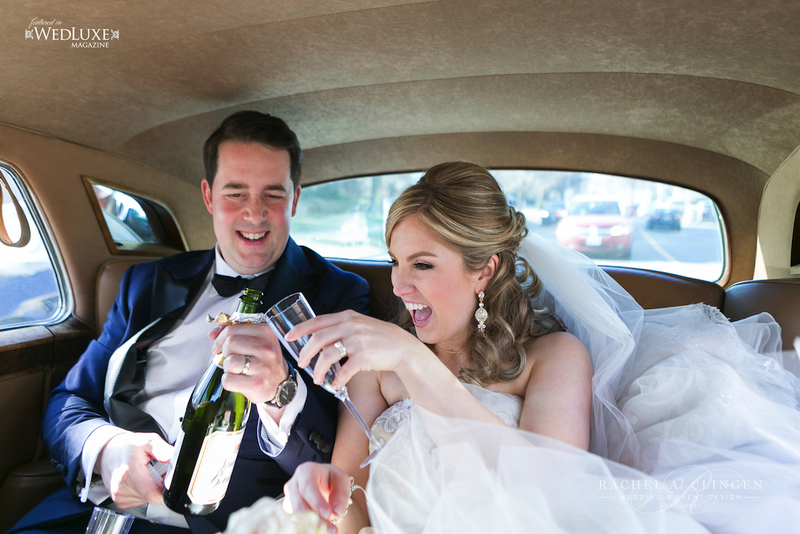 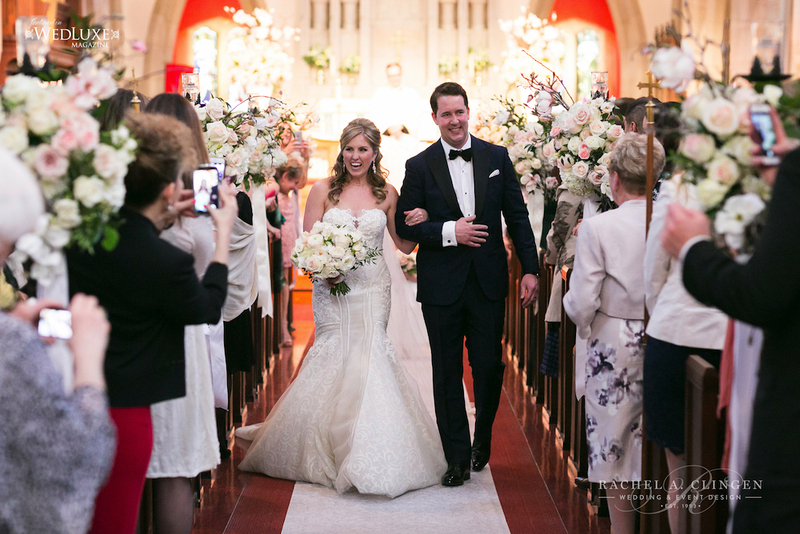 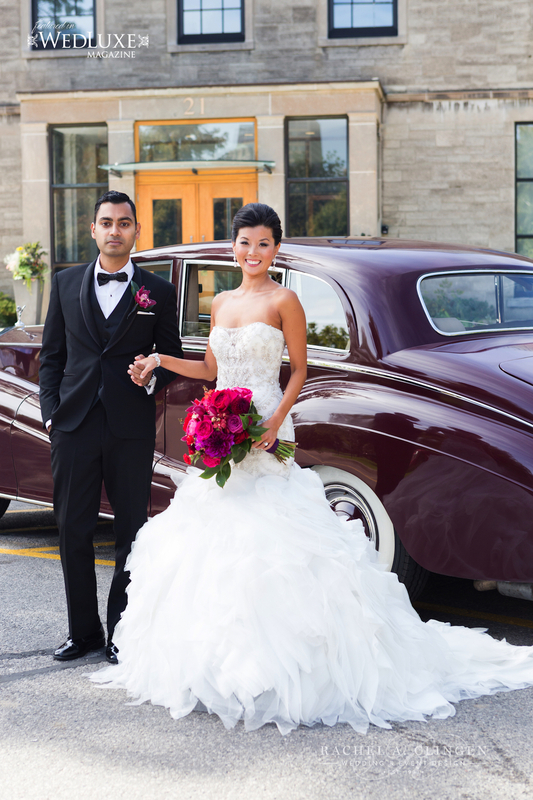 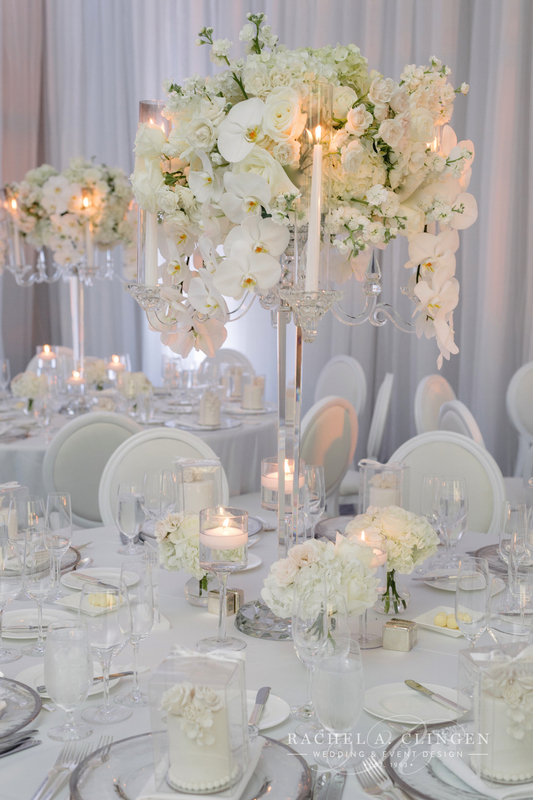 These two love birds wanted a sophisticated affair with a monochromatic colour scheme. 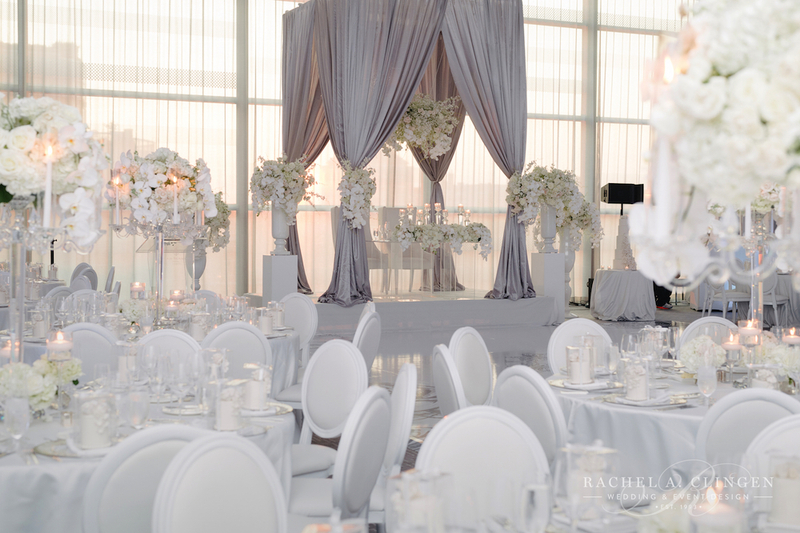 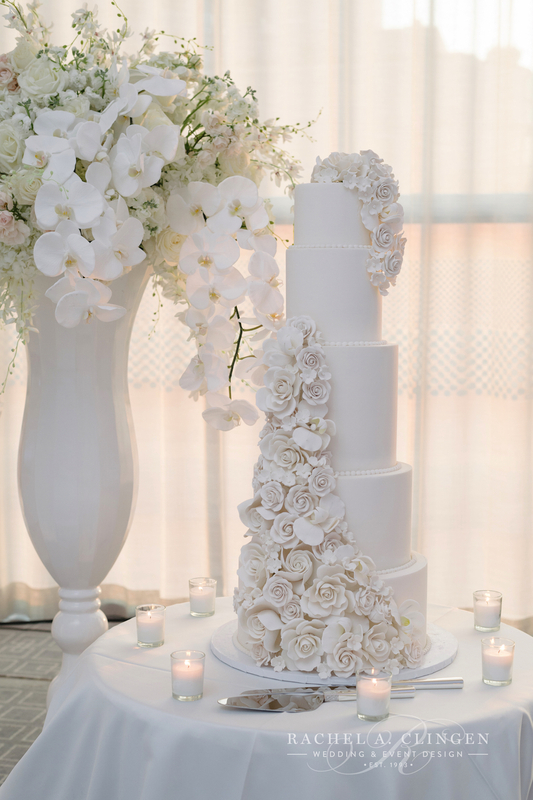 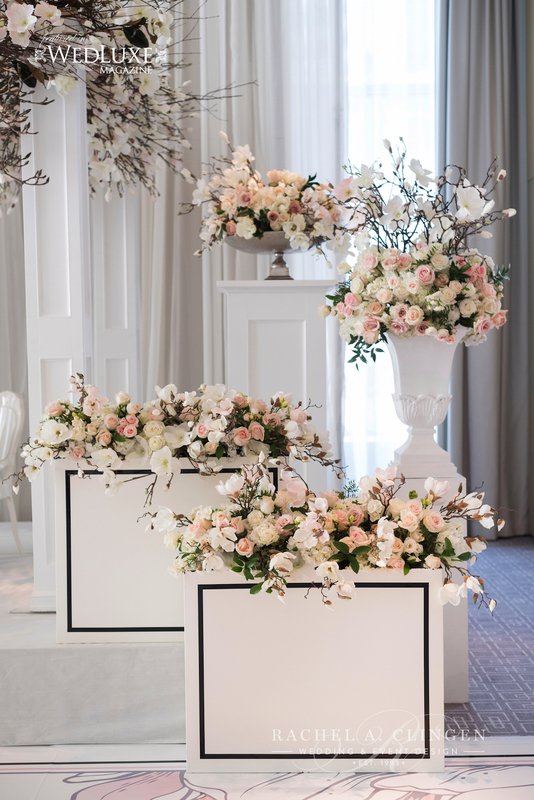 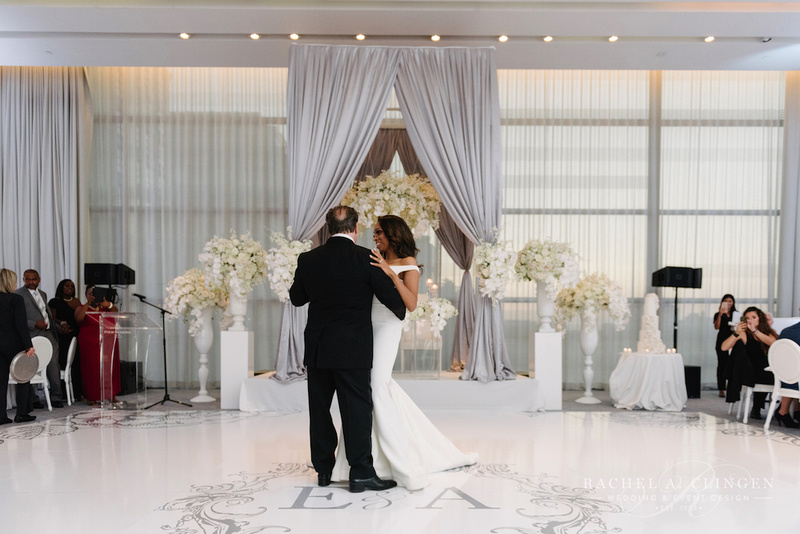 Our team designed an elegant yet glamorous look which included a gorgeous orchid and white floral chandelier. 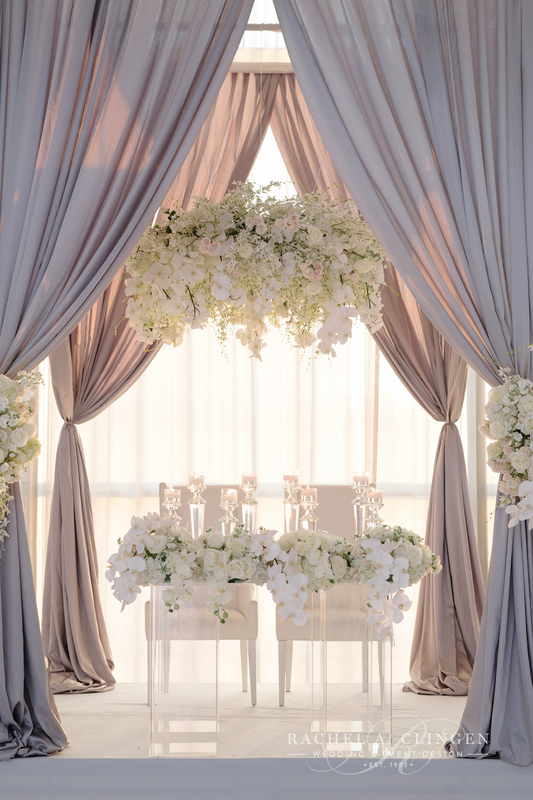 The couple exchanged vows under this beautiful piece along with a soft grey canopy, which later would be utilized for their sweet heart head table. 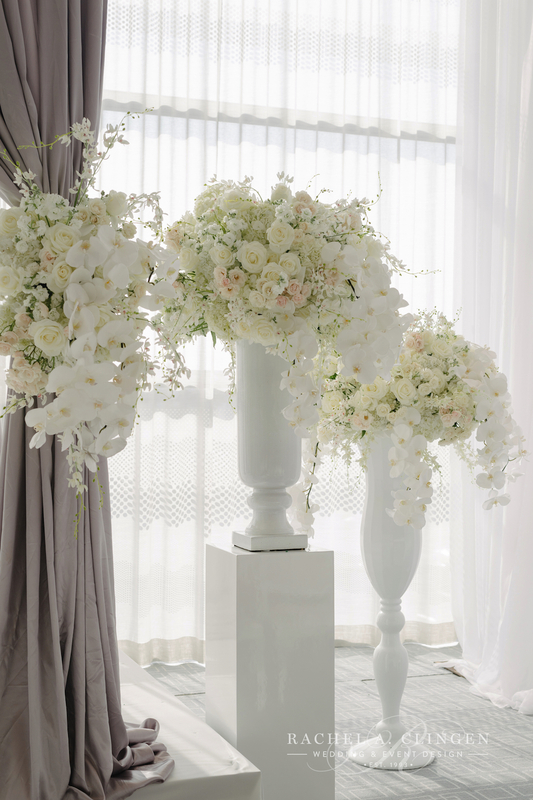 The decor with an all white palette was created with orchids, roses and hydrangeas and a hint of grey for just a subtle contrast. 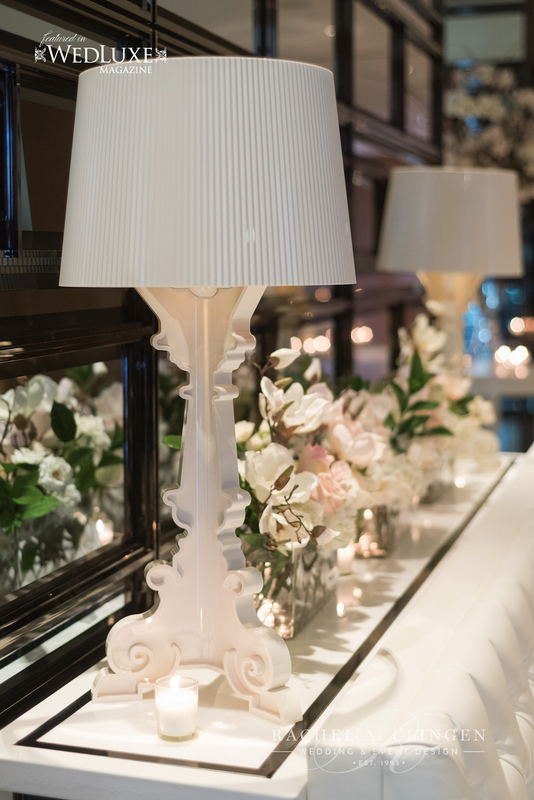 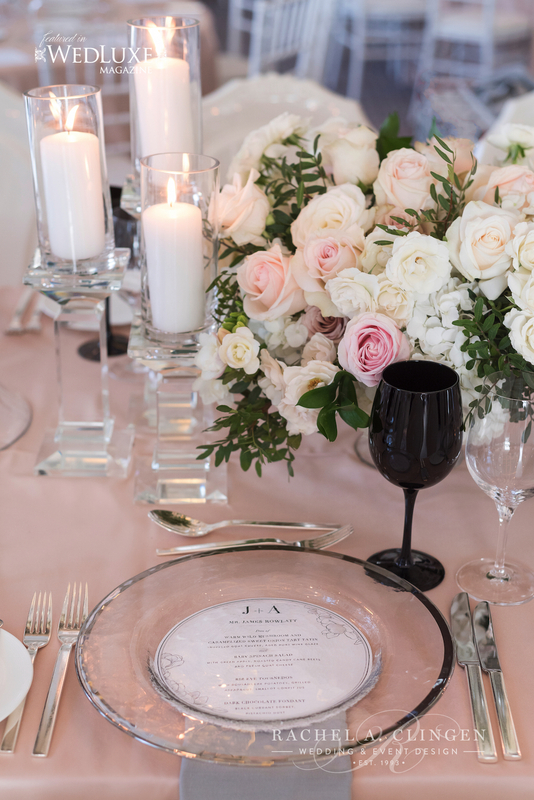 Guests dined at candle lit tables detailed with our sleek crystal candelabras. 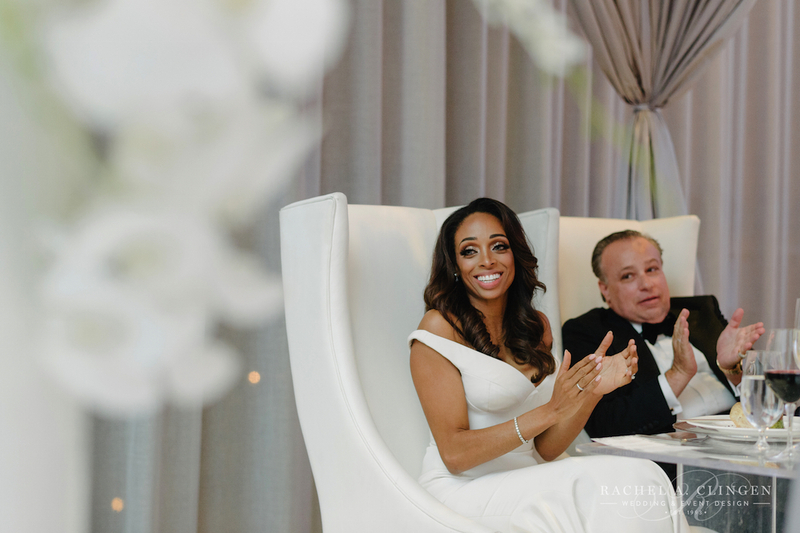 Congratulations Elora and Abraham! 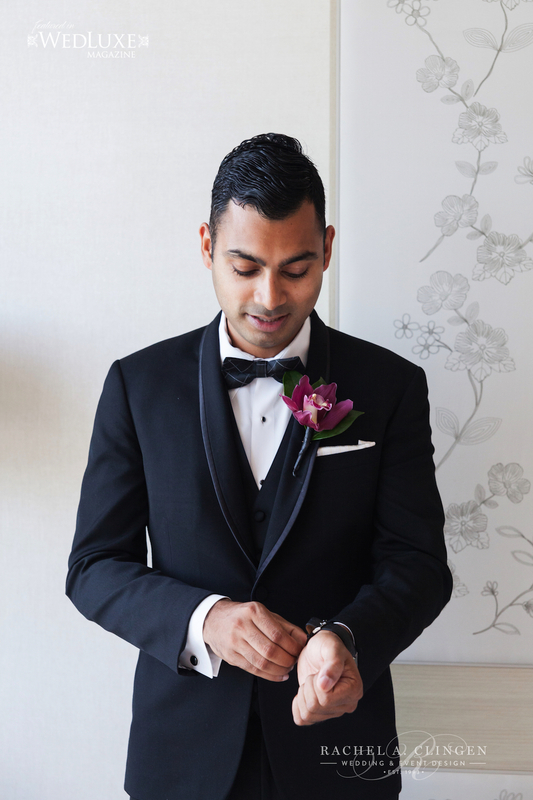 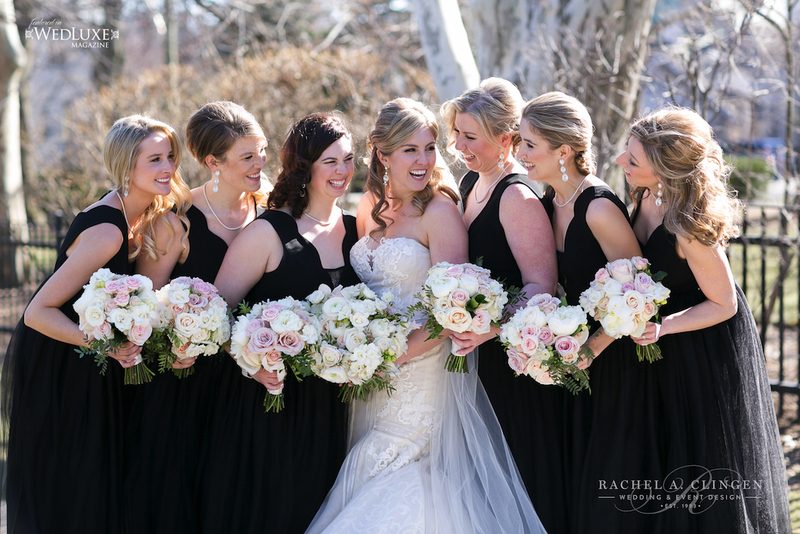 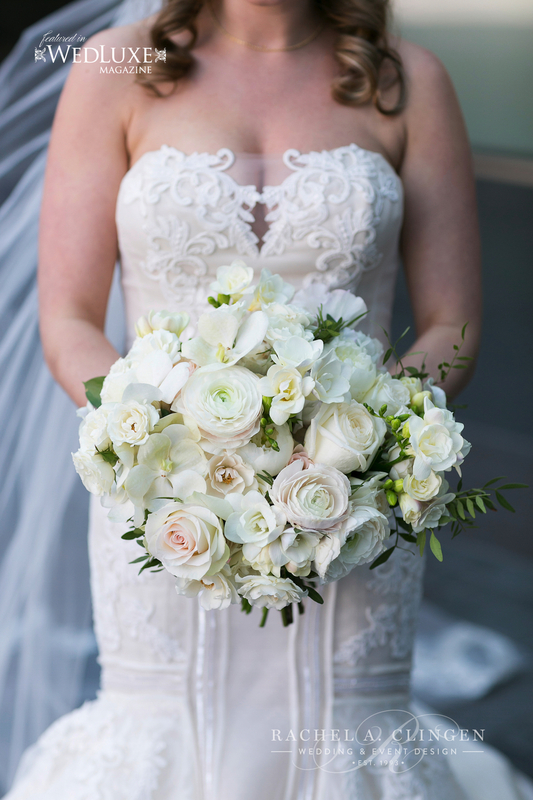 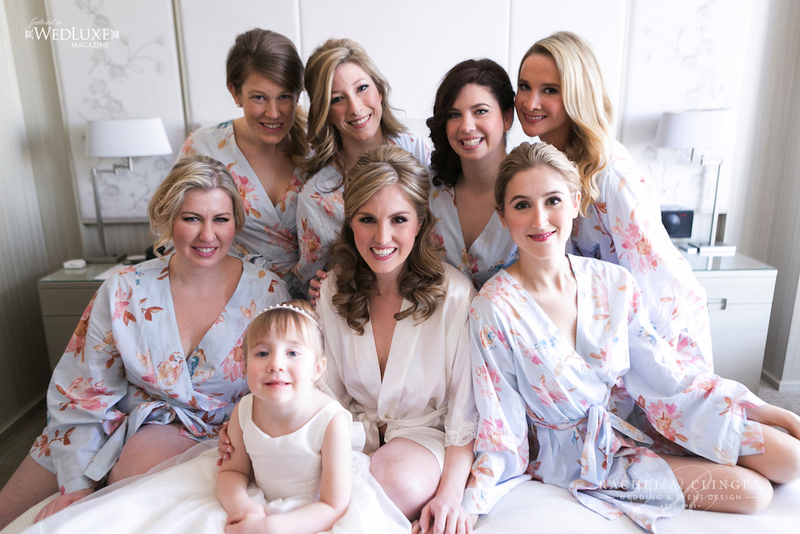 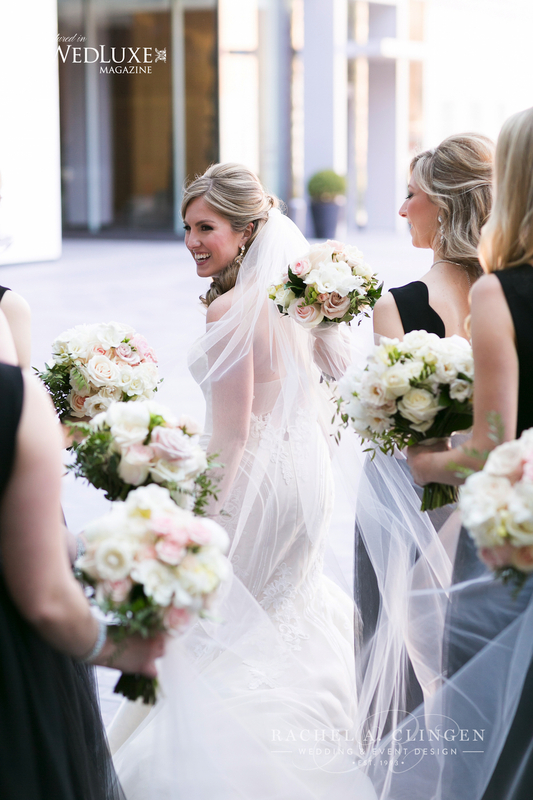 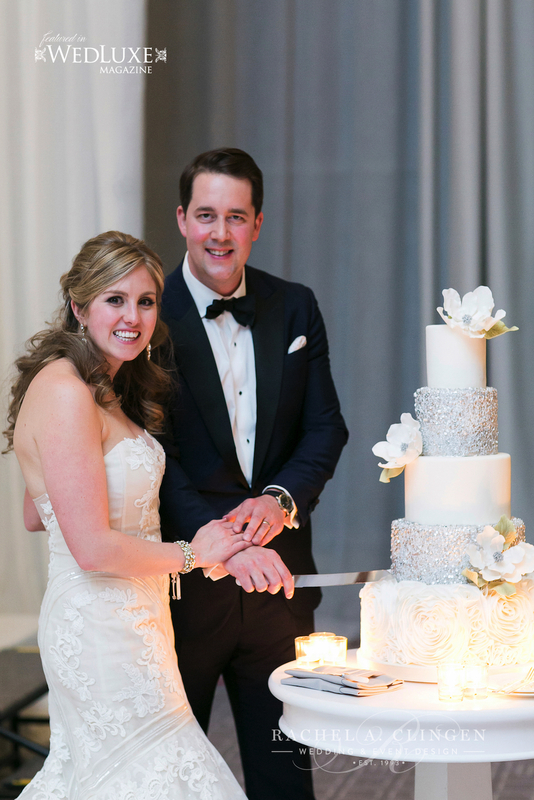 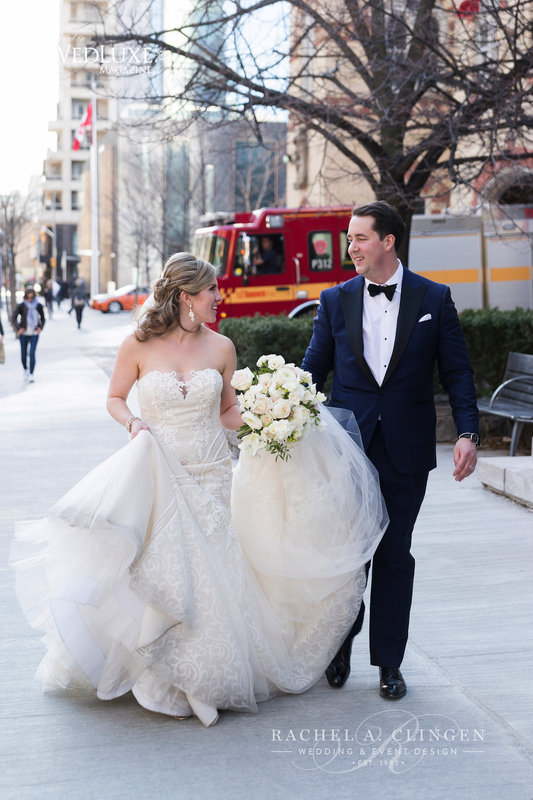 Janelle and Aaron’s spring wedding at the Four Seasons Hotel Toronto, was filled with magnolia blossoms and fresh blooms. 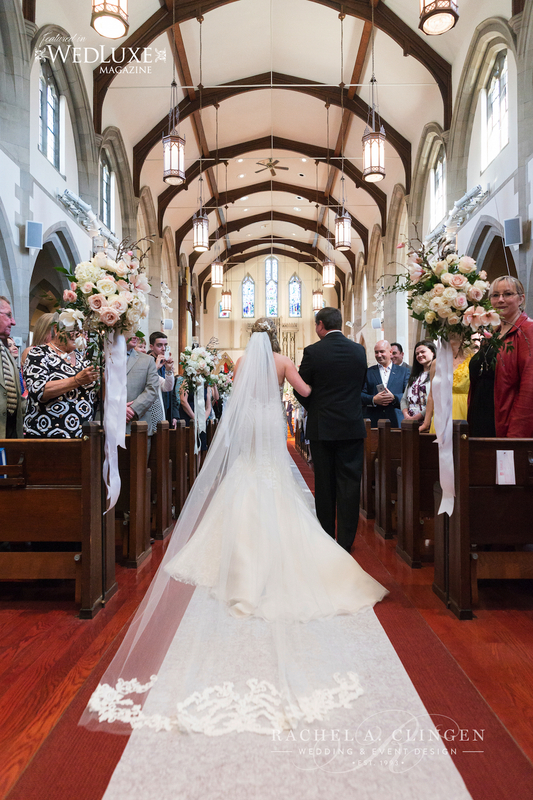 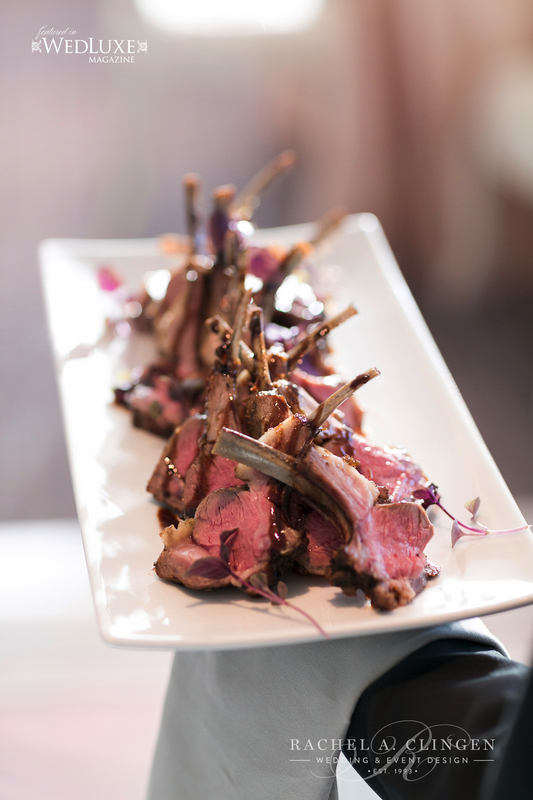 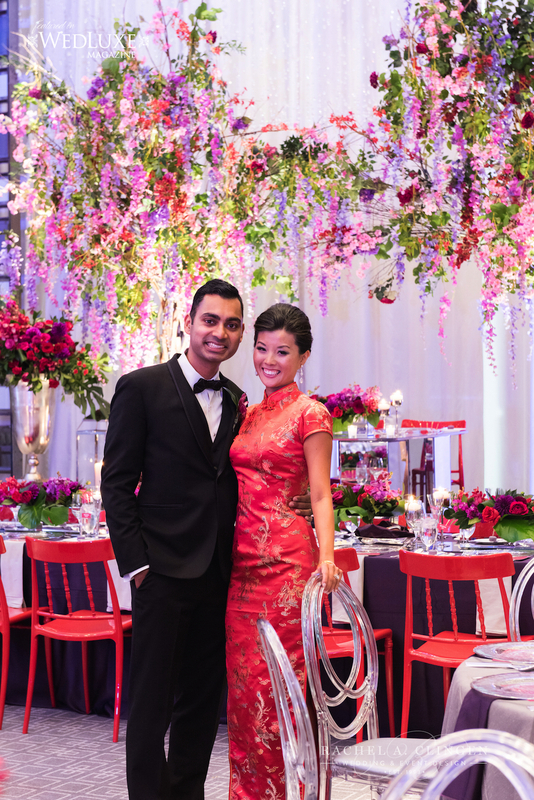 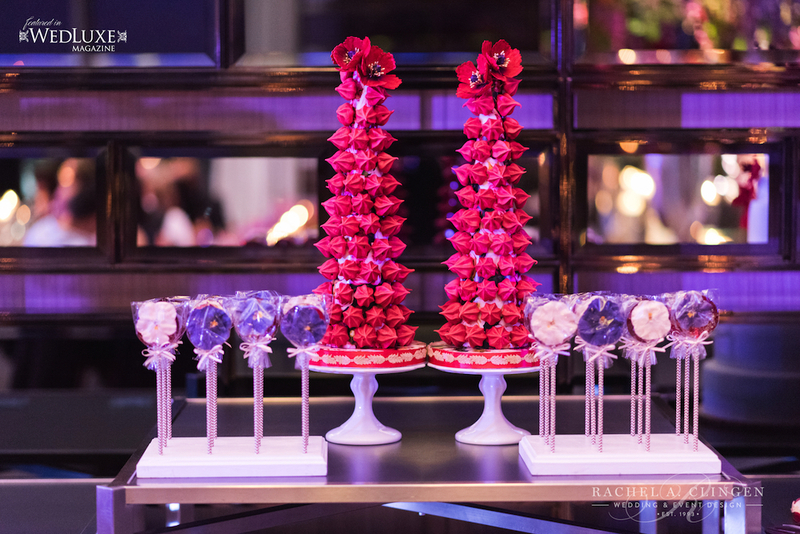 After the romantic and traditional wedding ceremony at Grace Church On The Hill, guests were welcomed to a feast for the eyes as well as the palette at the Four Seasons Hotel. 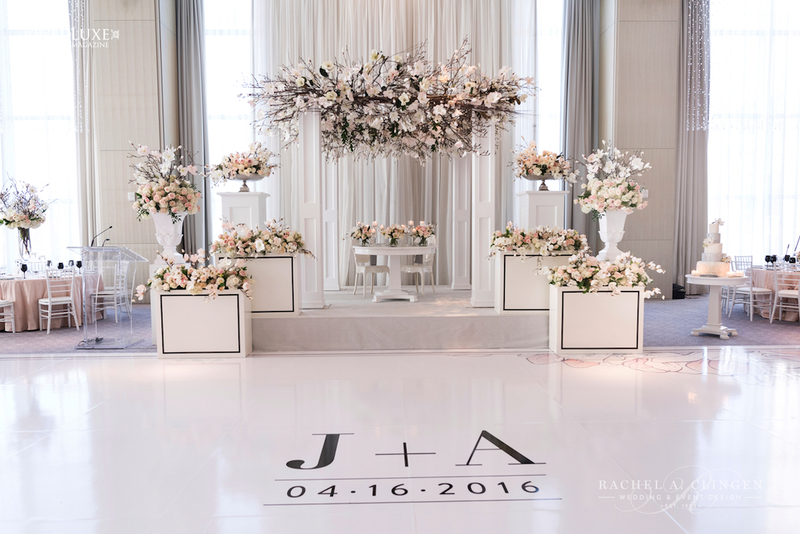 The decor and flowers mixed classic elements with modern touches. 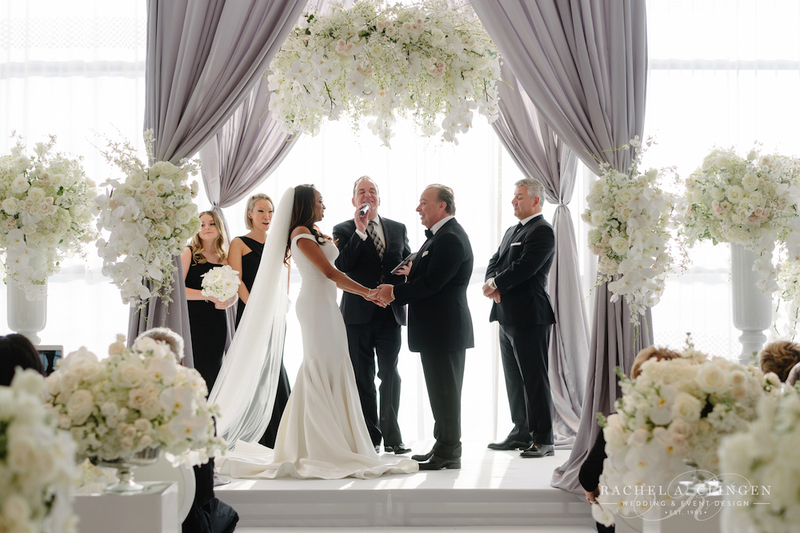 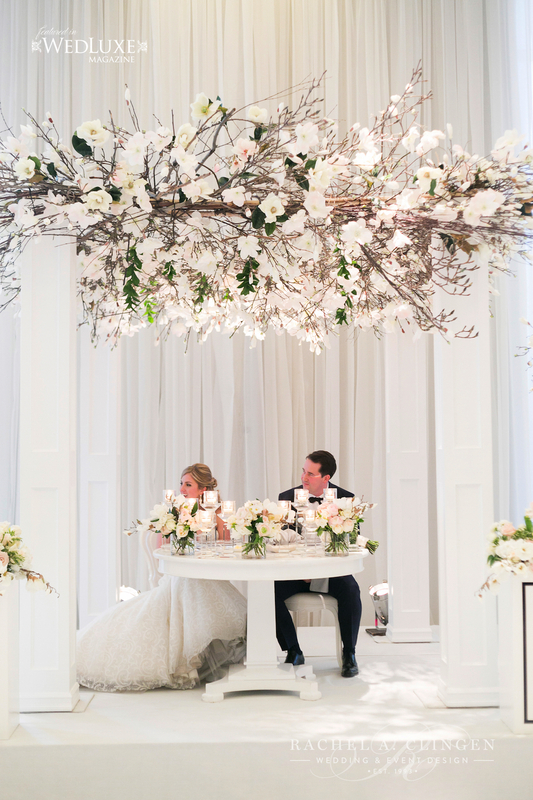 The beautiful couple dined under a show stopping magnolia canopy created by the team at Rachel A. Clingen. 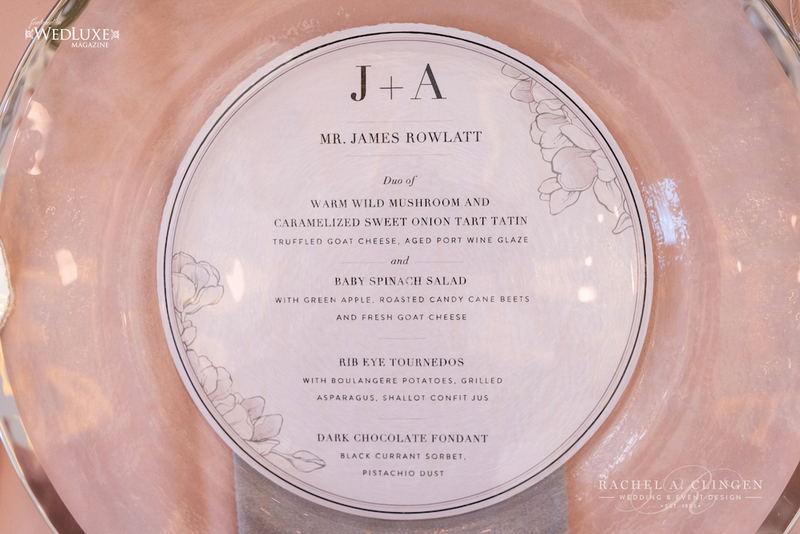 Unique modern accents included black details such as stemware and black pin striping on floral containers. 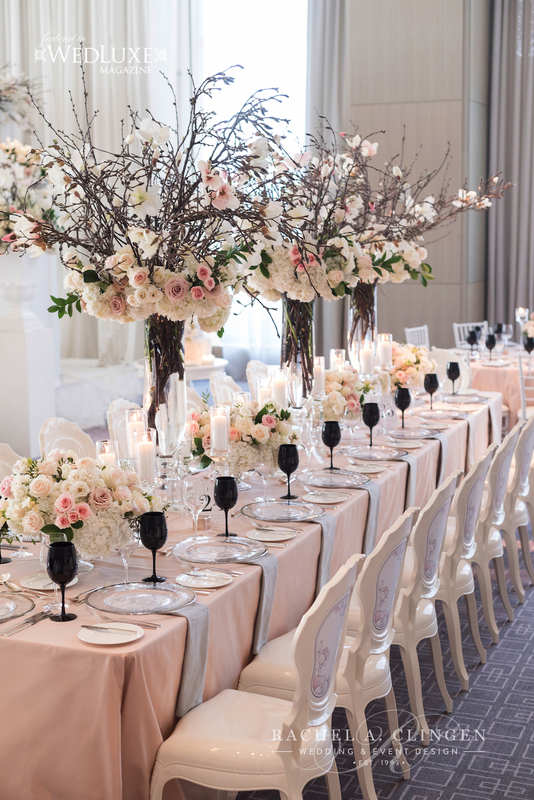 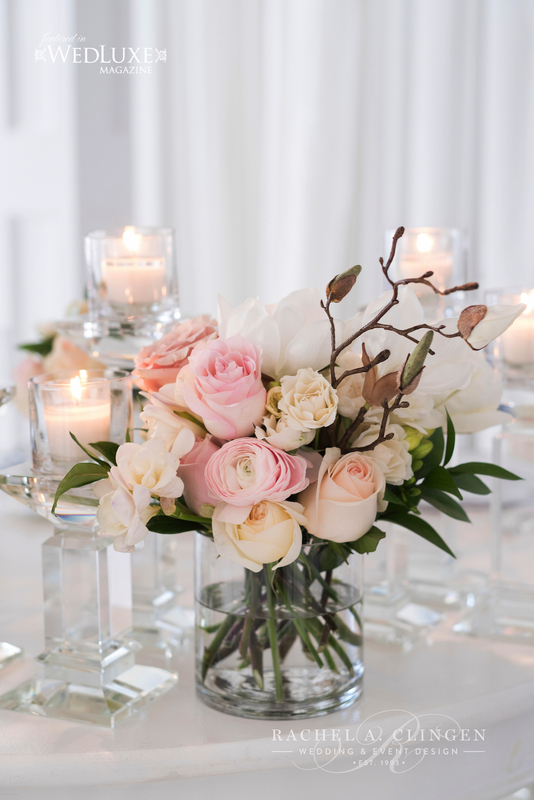 Magnolia branches and fresh blush coloured flowers lined the gallery tables. 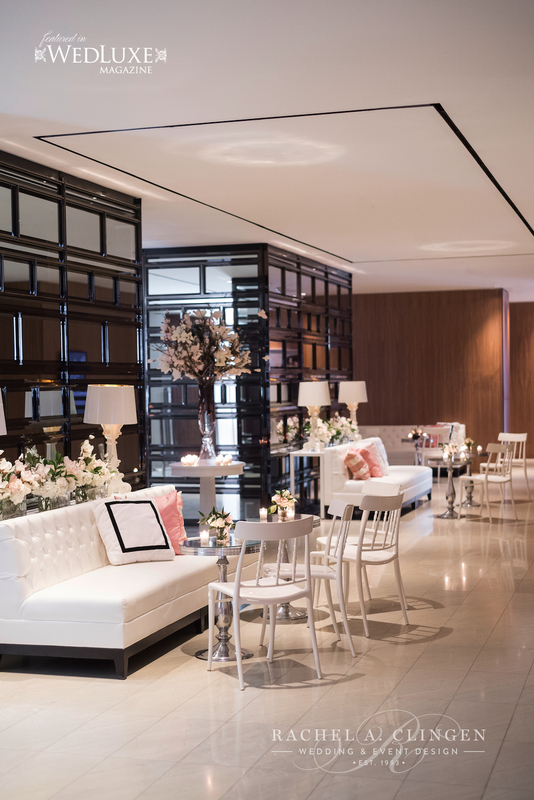 Spring was in full bloom in the lobby as well. 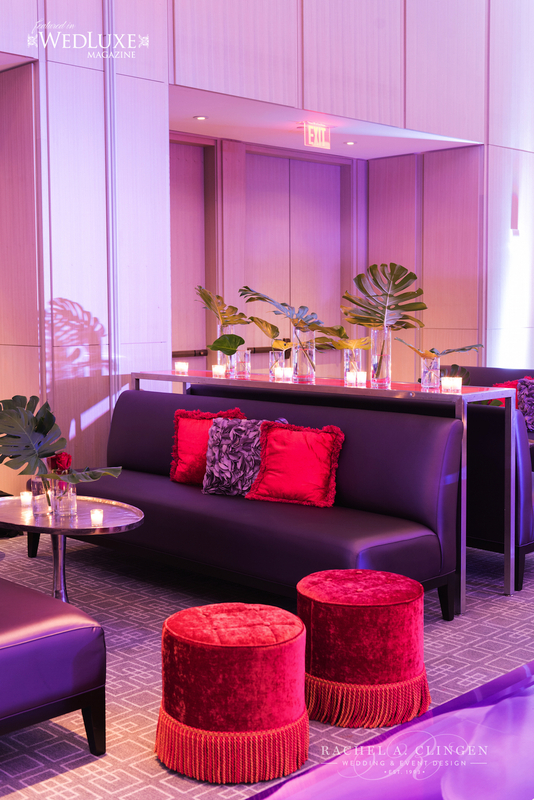 Lounge furniture and magnolias fancied up the lobby at the Four Seasons. 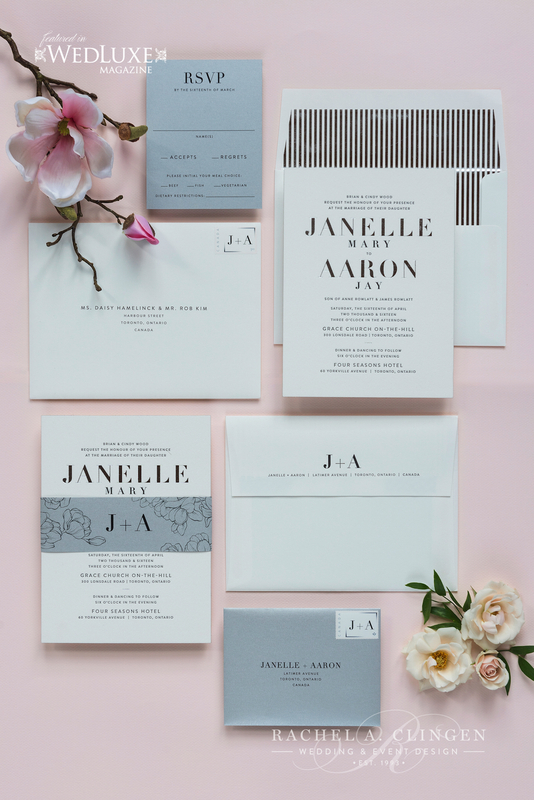 Congratulations to Janelle and Aaron. 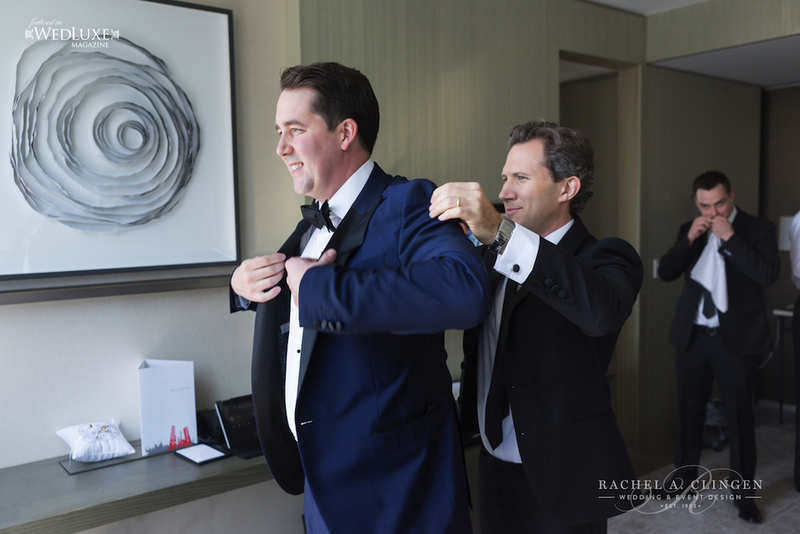 It was such a pleasure working with you. 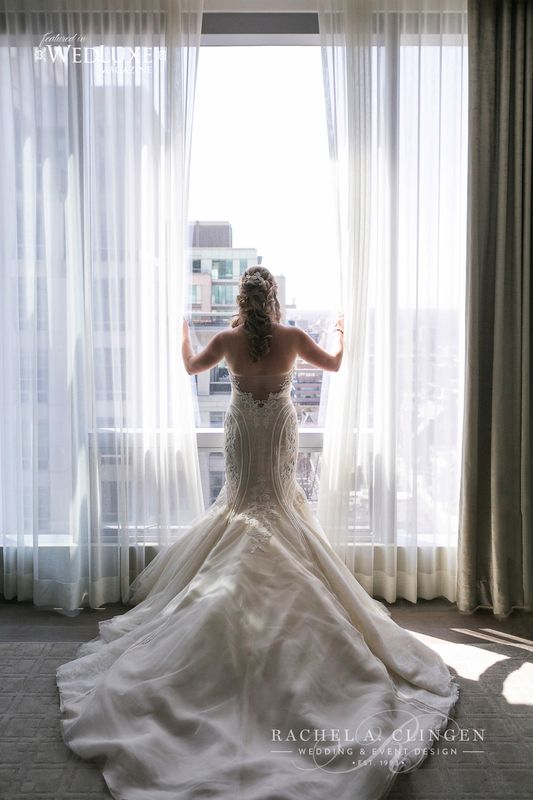 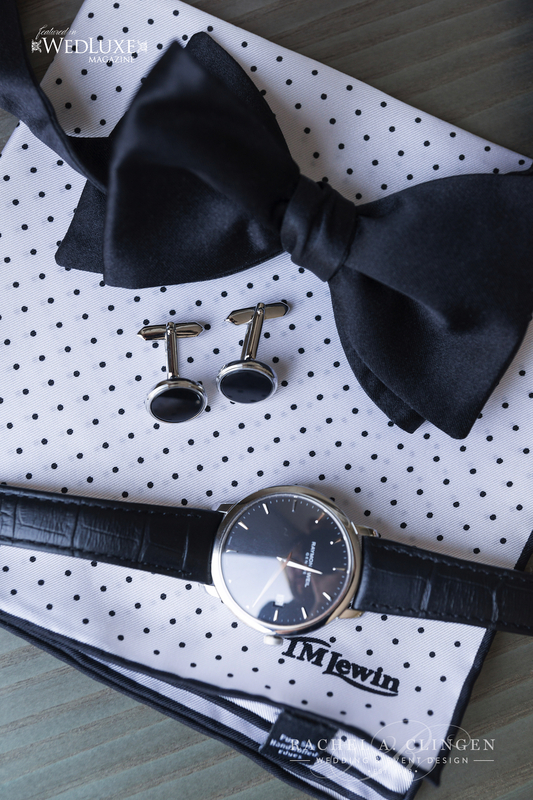 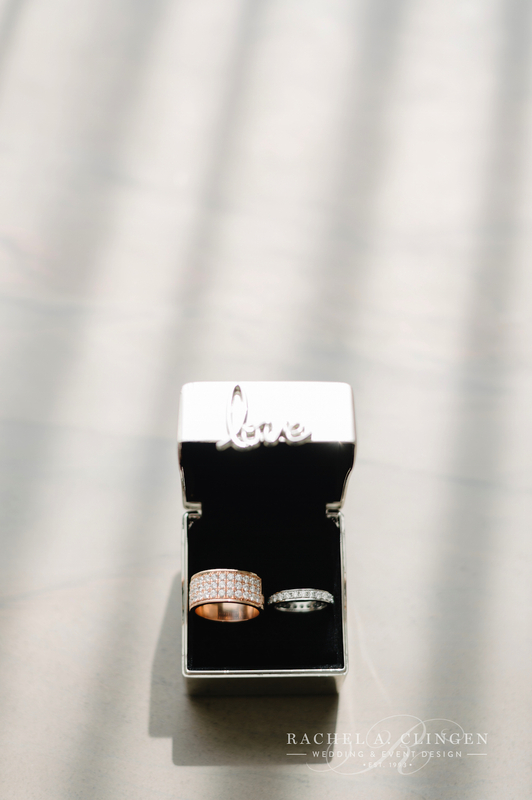 Special thanks to our friends at 5ive 15ifteen for sharing their fabulous images with us and to wedding planner Lisa from Bliss for working so closely with us. 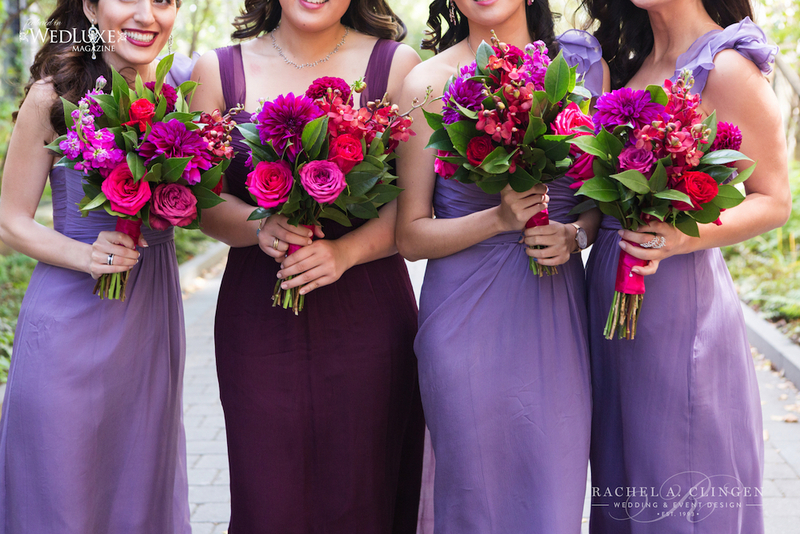 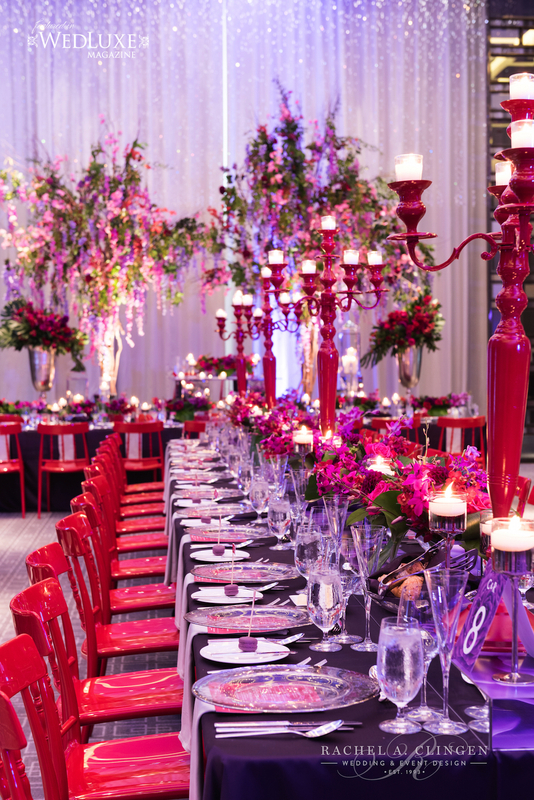 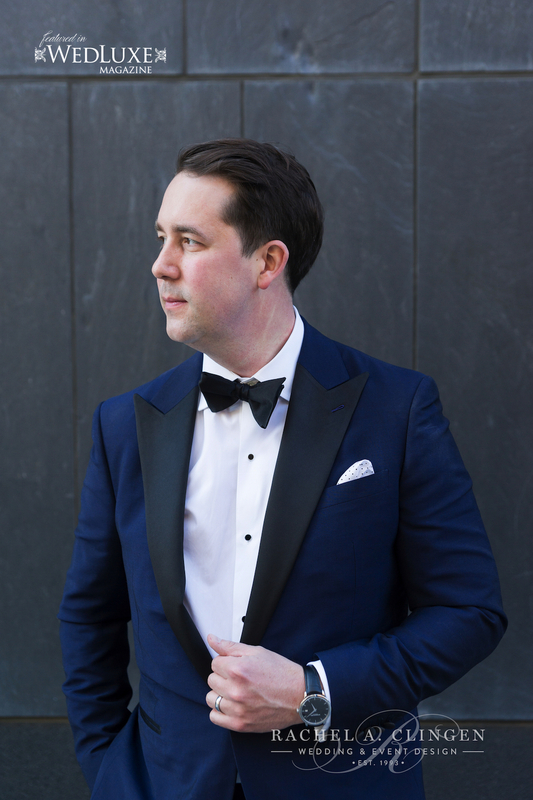 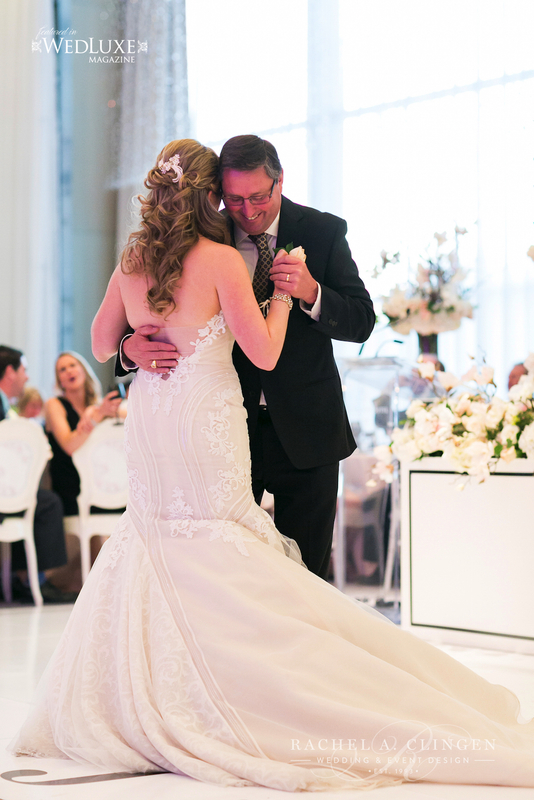 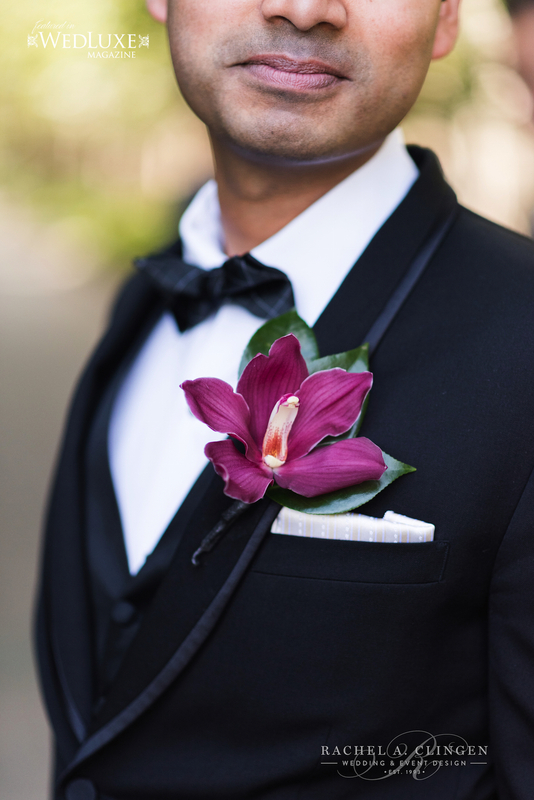 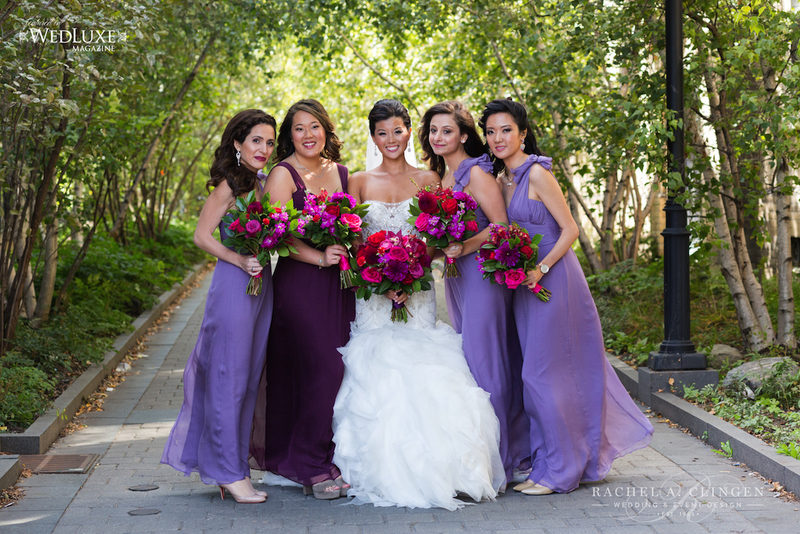 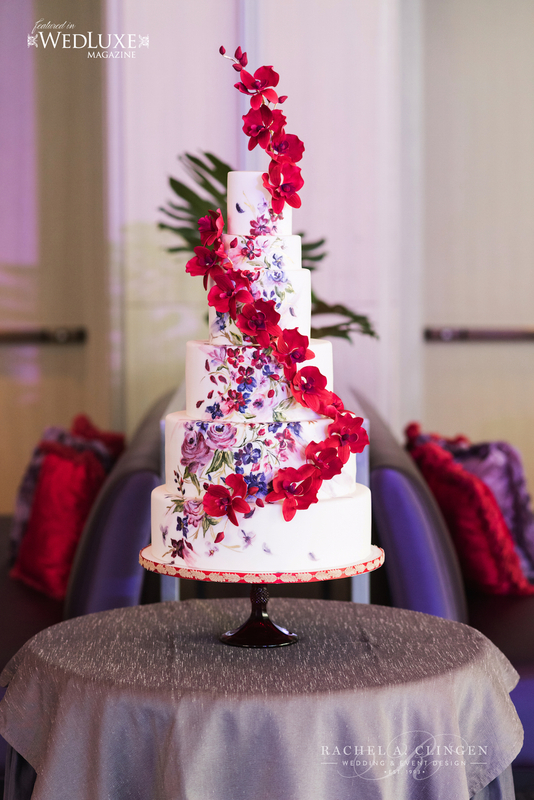 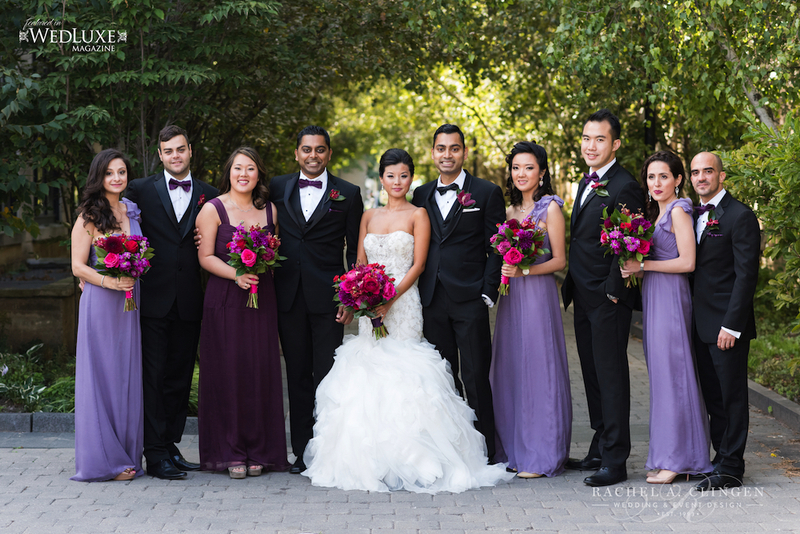 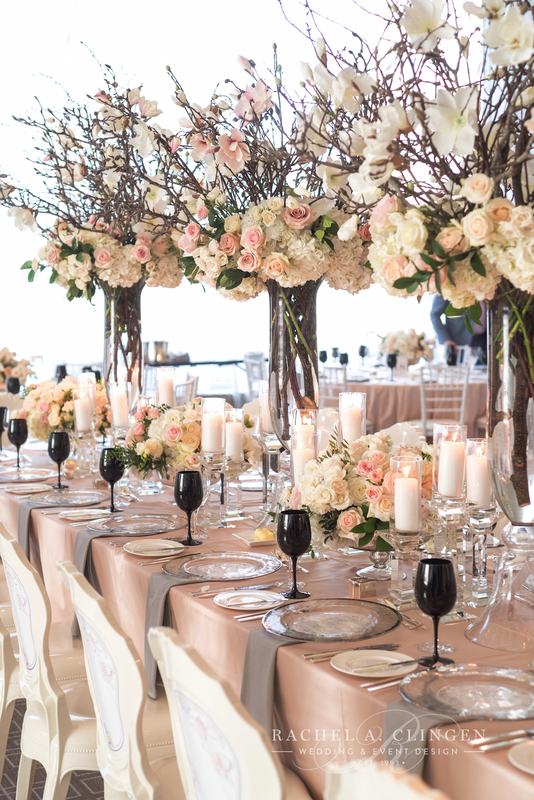 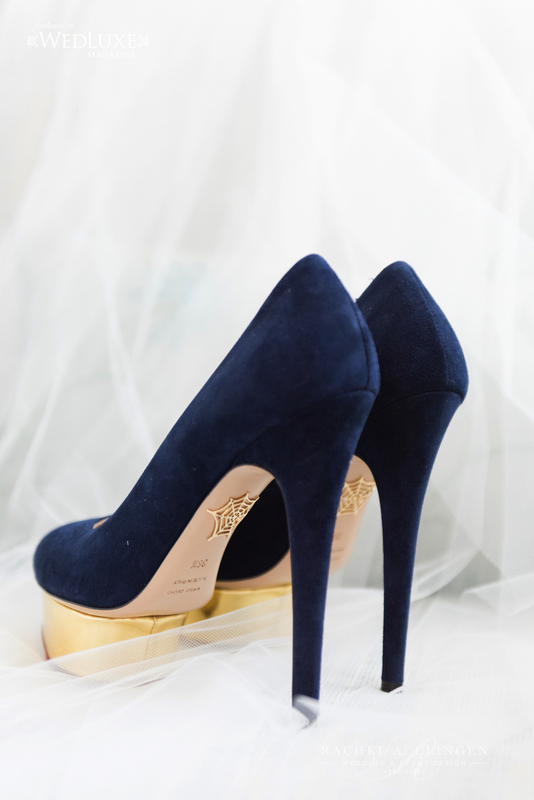 This modern colourful wedding at the Four Seasons Hotel Toronto still has us swooning! 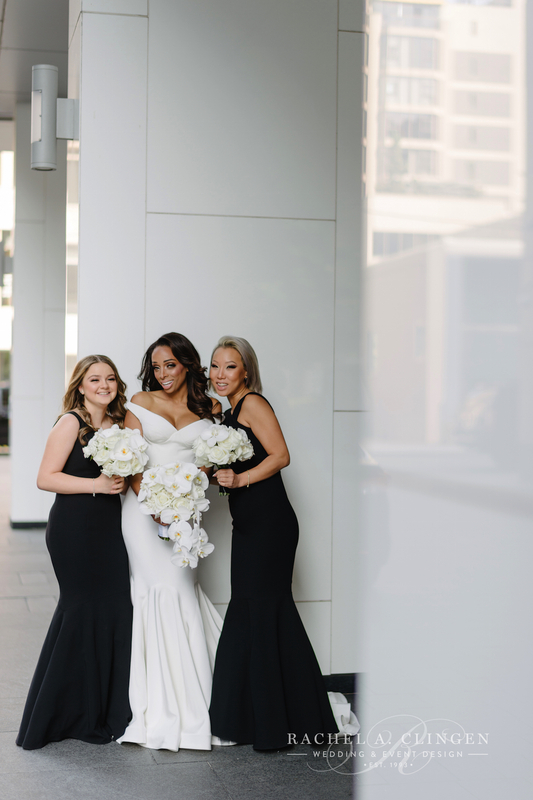 Every once in a while we get to design with bold and colourful flowers, and this modern colourful wedding at the Four Seasons Toronto, was no exception. 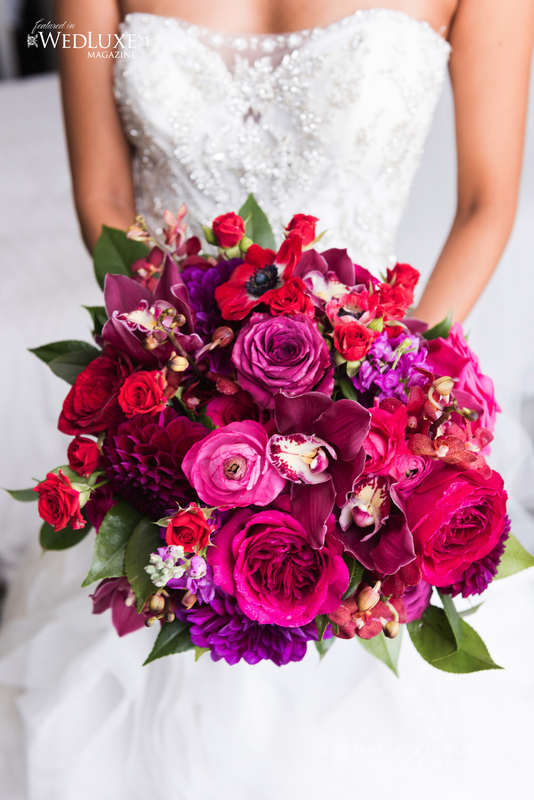 Excitement loomed when I first met Charlotte because her love of colour and her desire for unique wedding flowers and decor was a refreshing change to some of our more traditional designs. 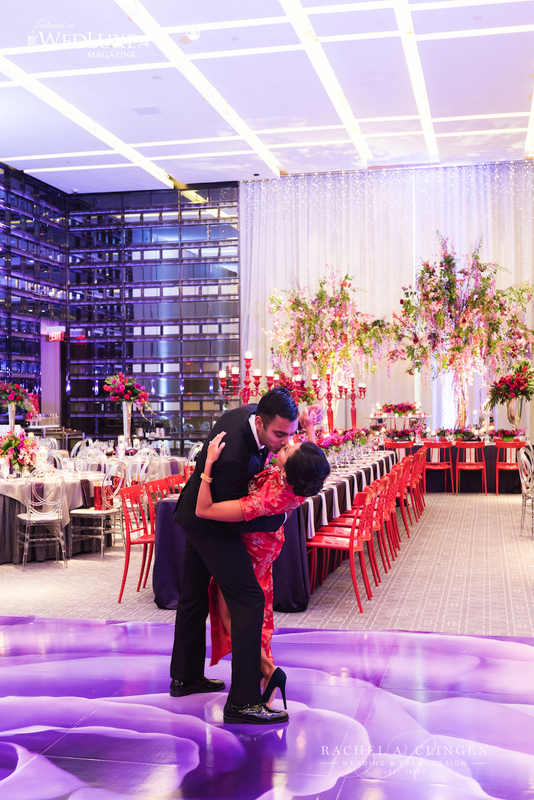 Charlotte and Ryan embraced a unique and creative design for their Chinese inspired wedding. 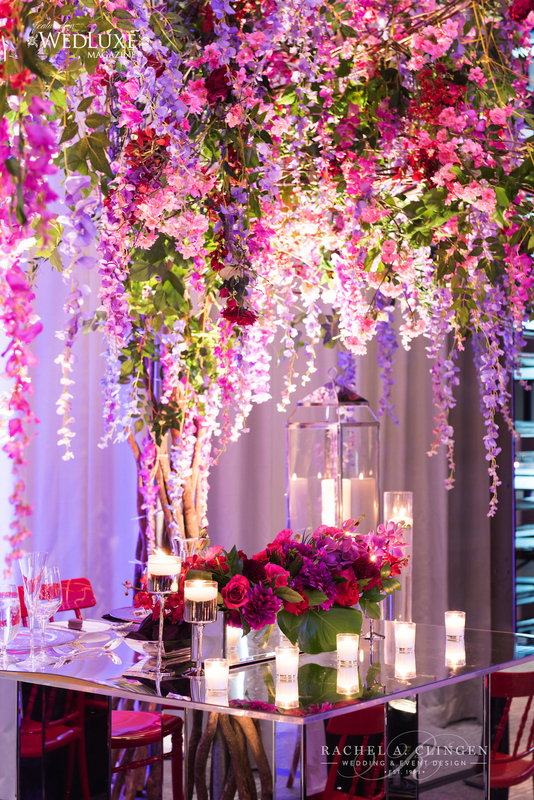 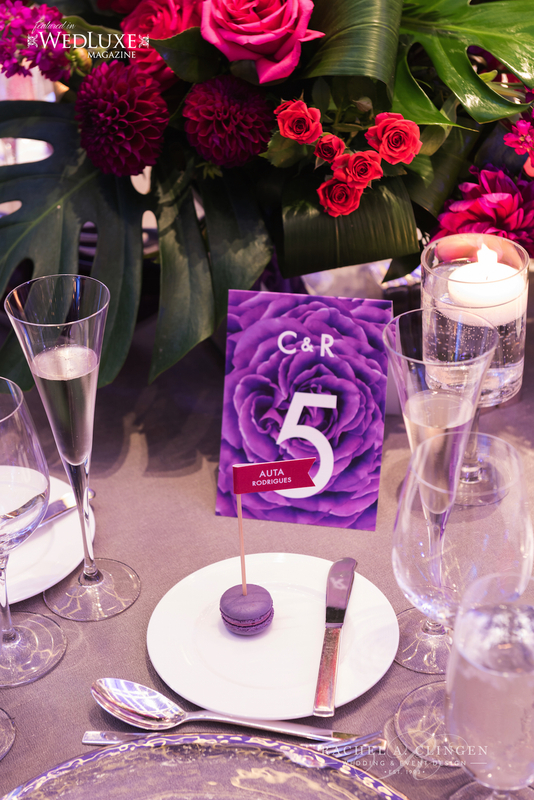 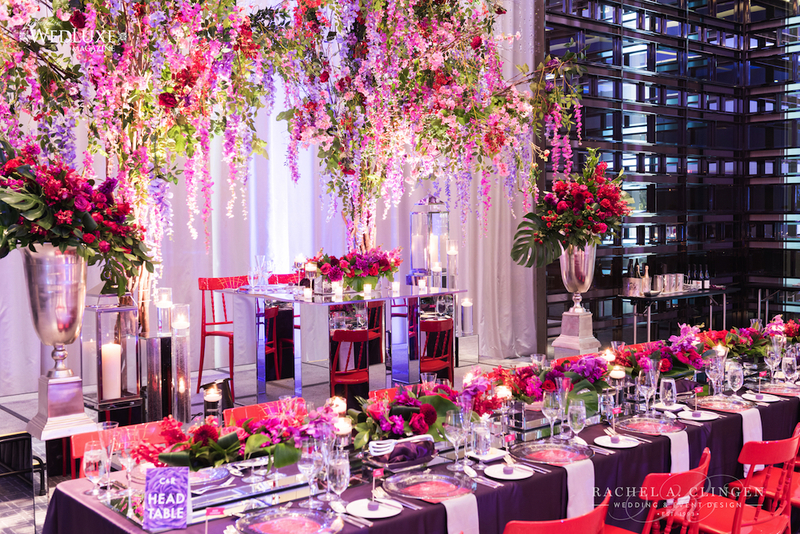 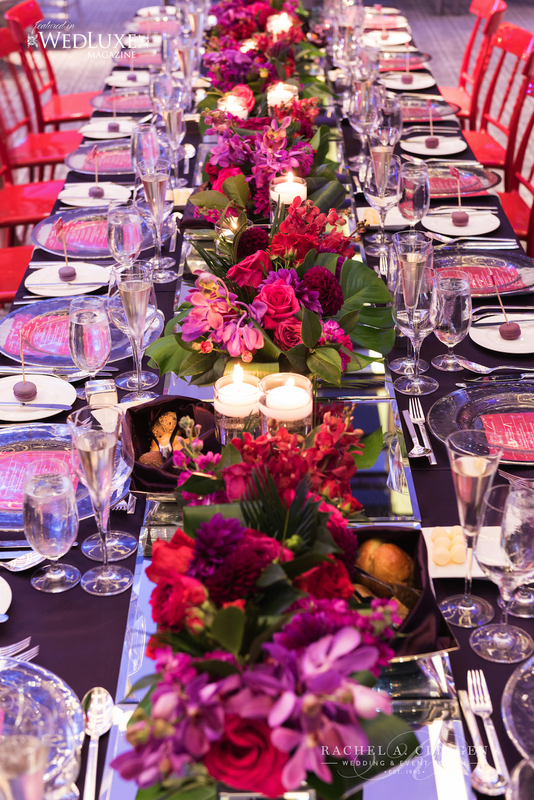 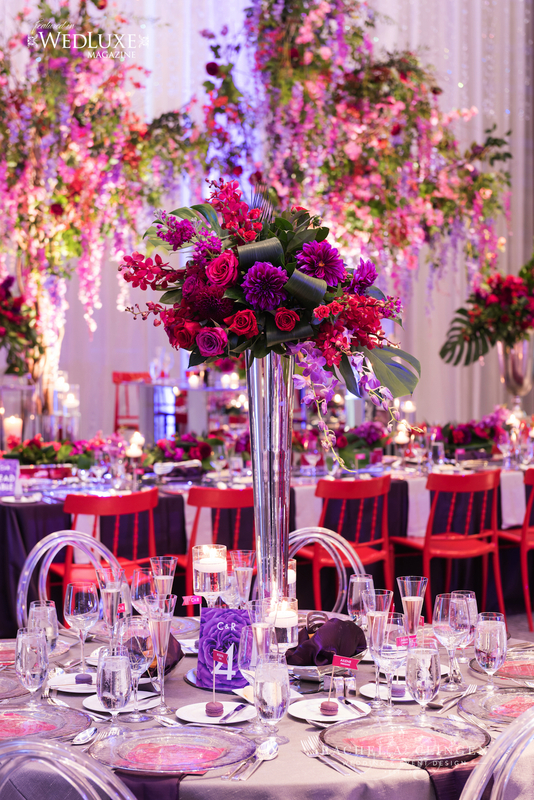 We created magic in the beautiful Aria Room, with our 17 foot wisteria tree loaded with red, purple and fuchsia flowers which were suspended over their mirrored head table. 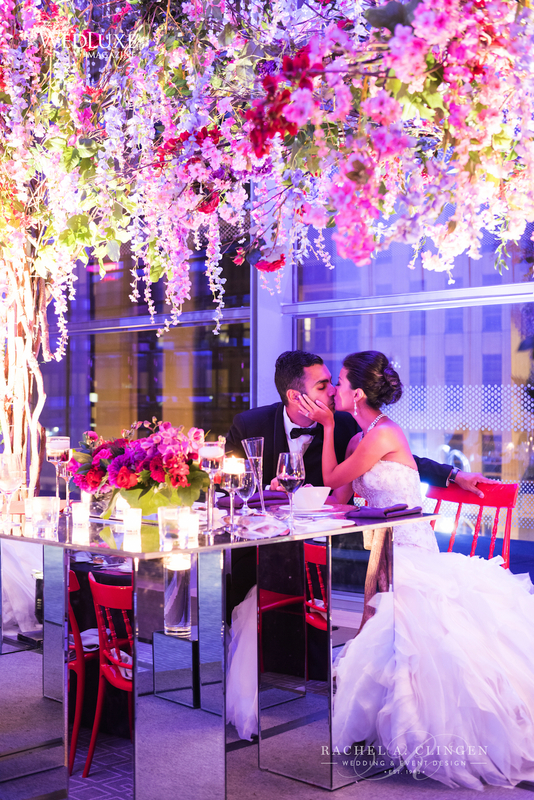 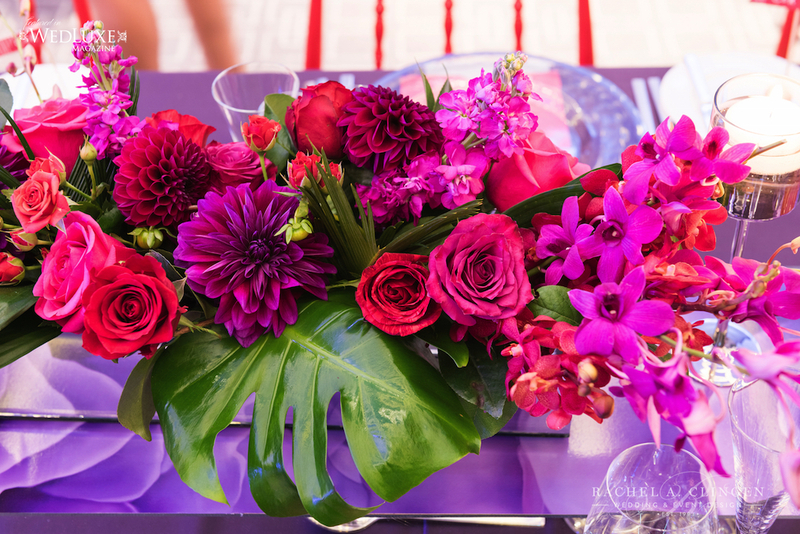 In addition to the life size floral tree, we created modern floral arrangements for the guest tables with orchids, roses and foliage. 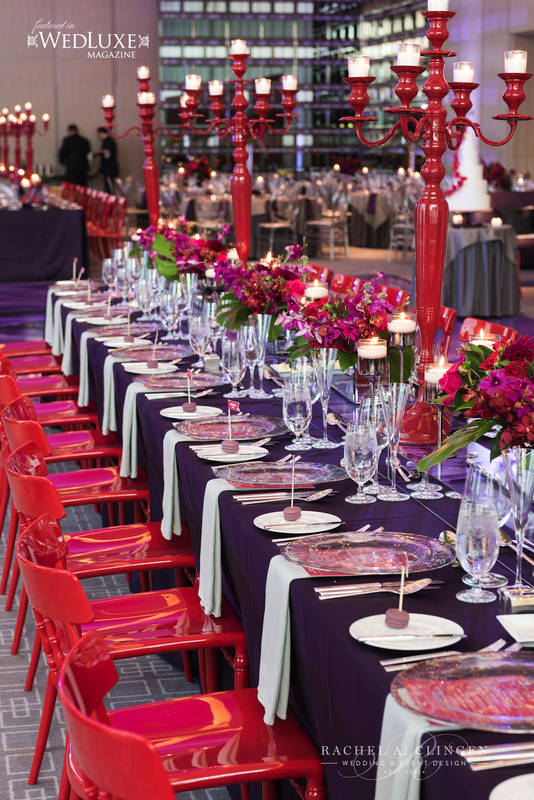 Other unique and colourful elements included red lacquer chairs lining the gallery tables. 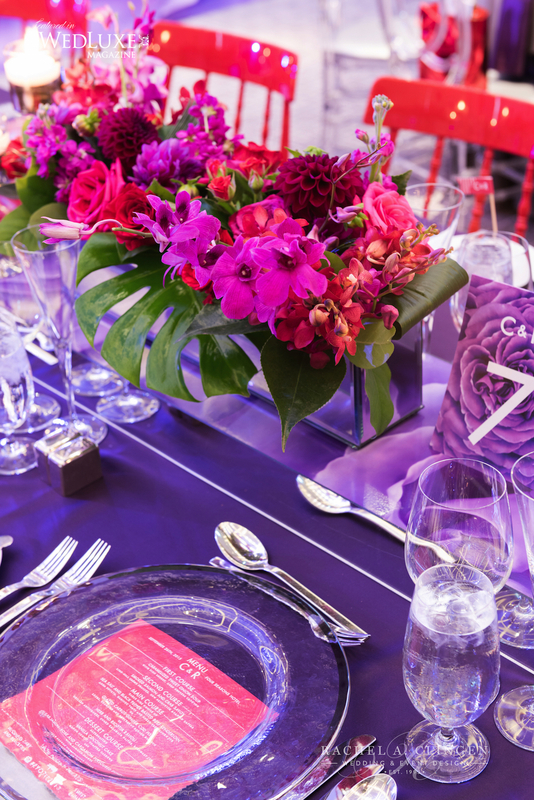 Also, we custom designed mirrored platform risers for the middle of the gallery tables which was detailed with a purple roses vinyl application. 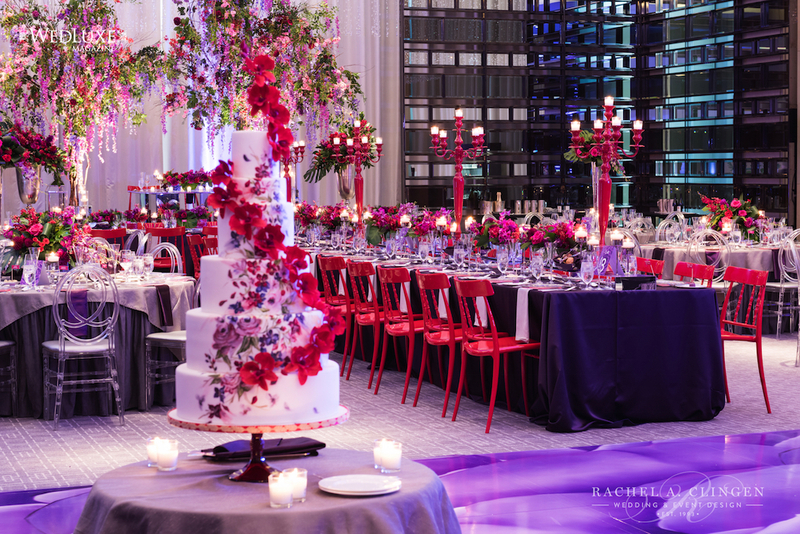 Traditional metallic candelabras were replaced with our bright red tall candelabras which added candle light and elegance to the Aria room in the Four Seasons Hotel. 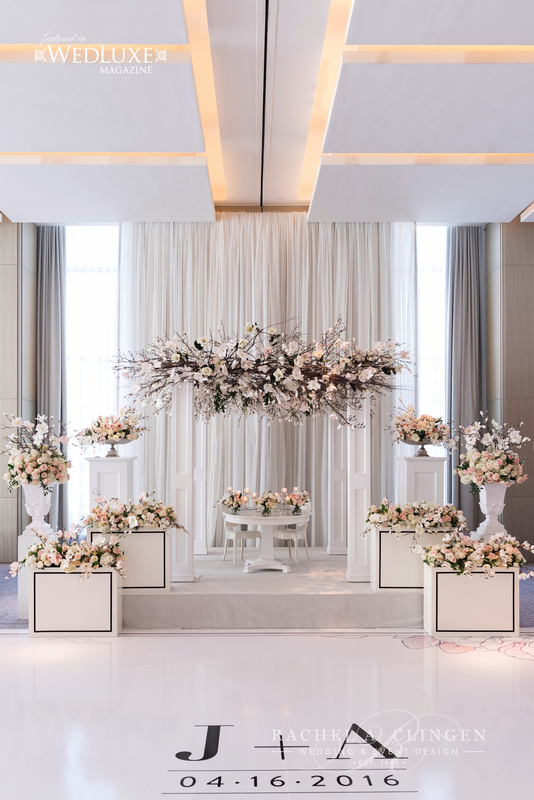 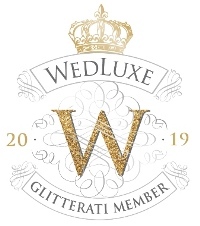 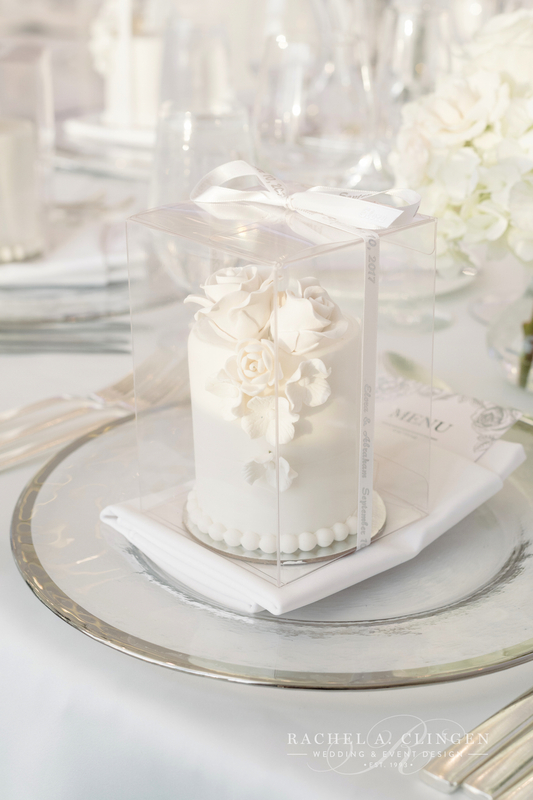 We worked closely with the lovely wedding planner Shealyn Angus from Bliss events on this show stopper wedding and were thrilled to see it in print in Wedluxe magazine. 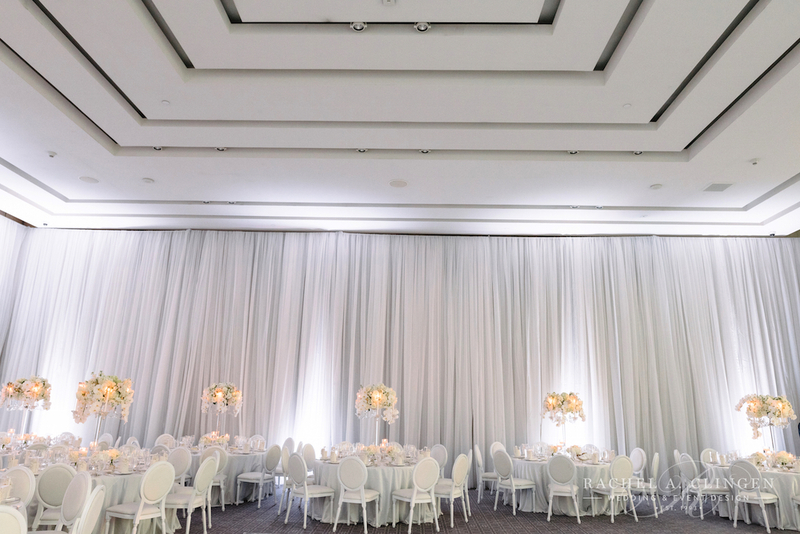 Incredible images by our talented friends at 5ive 15ifteen.